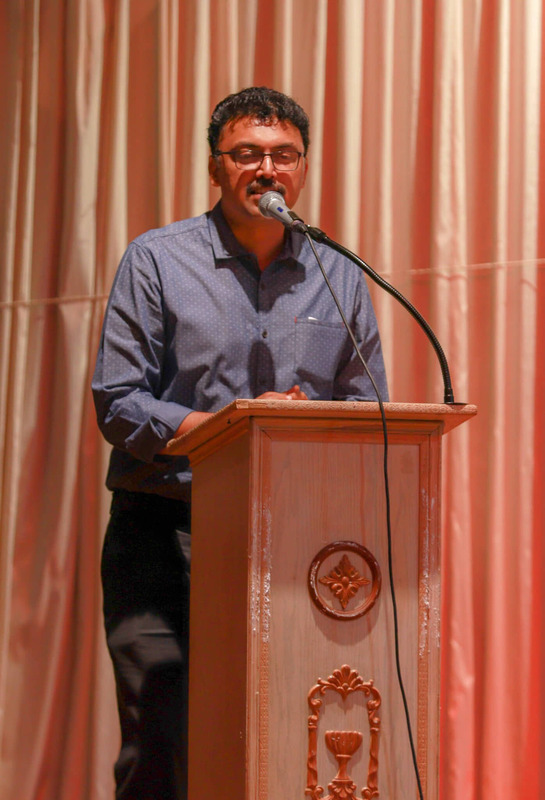 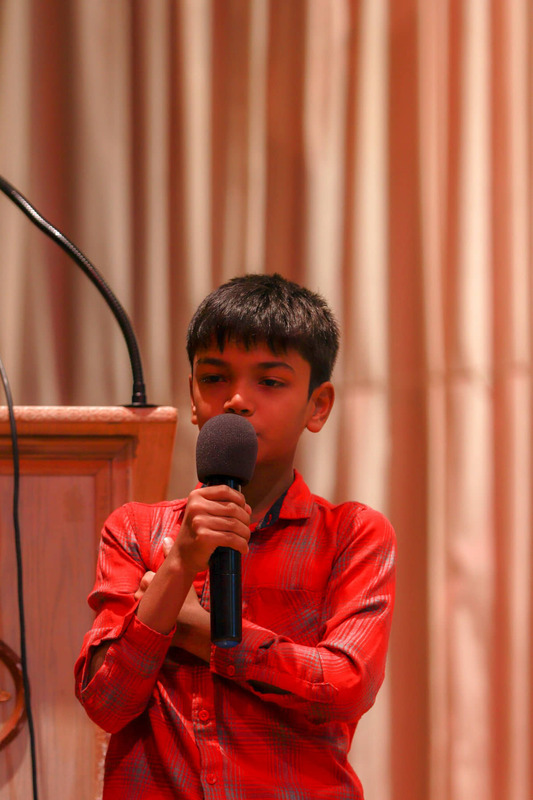 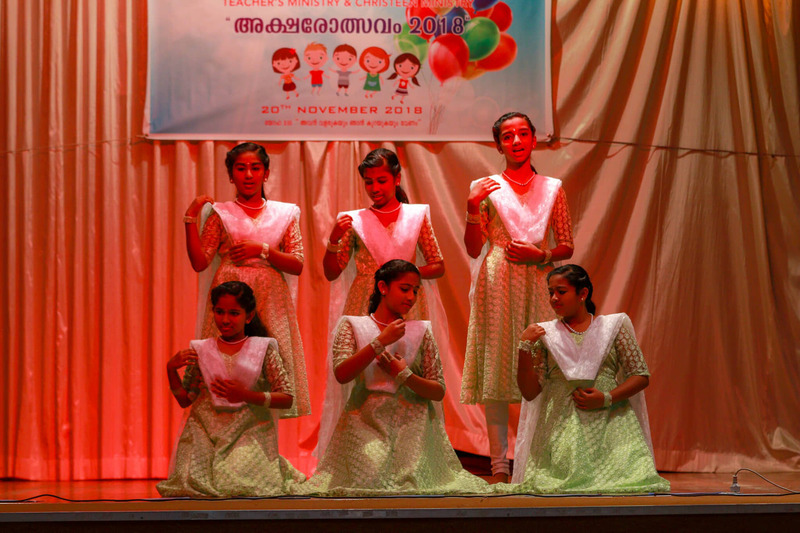 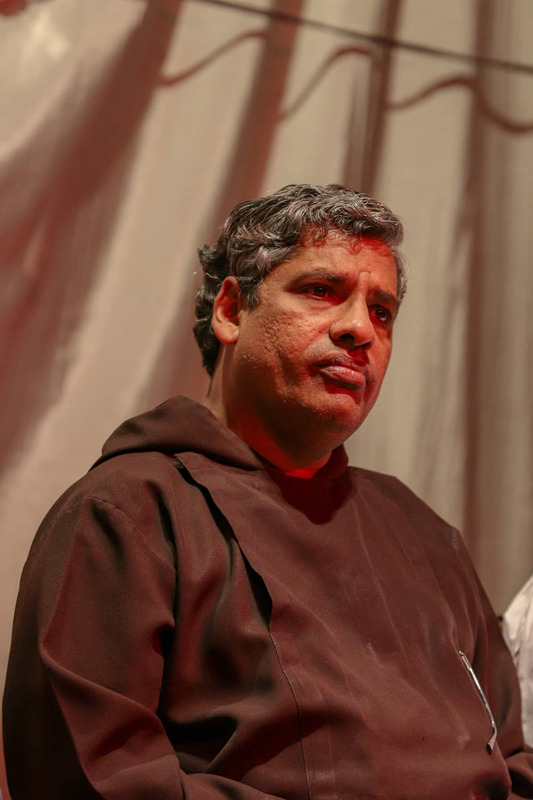 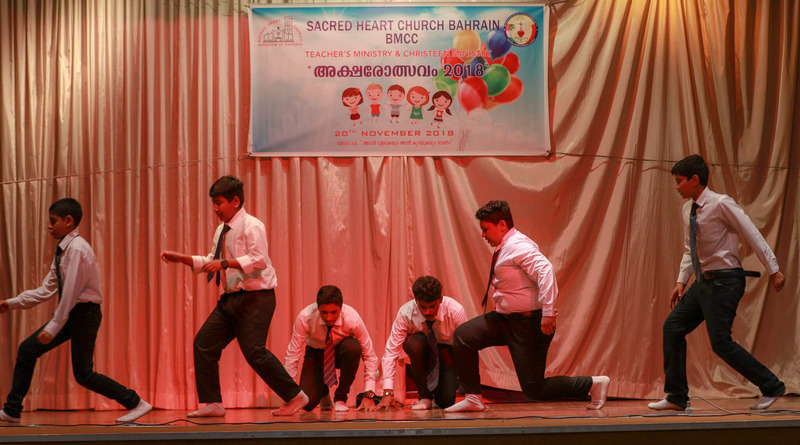 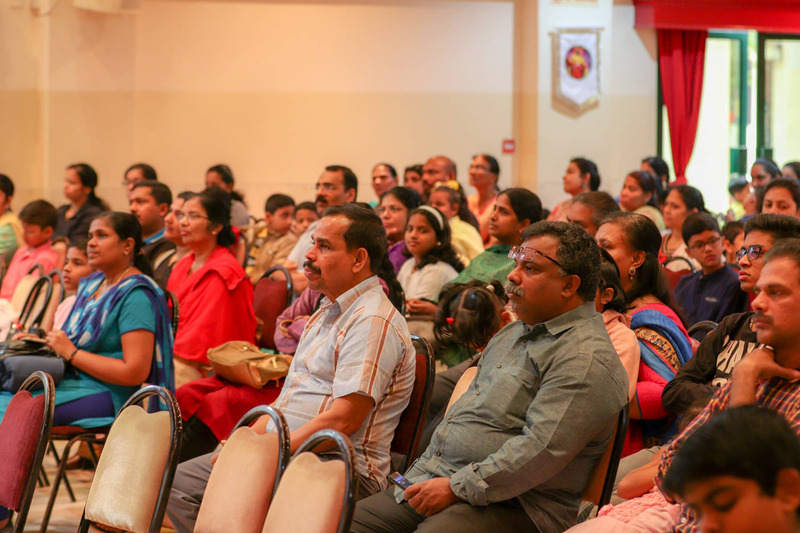 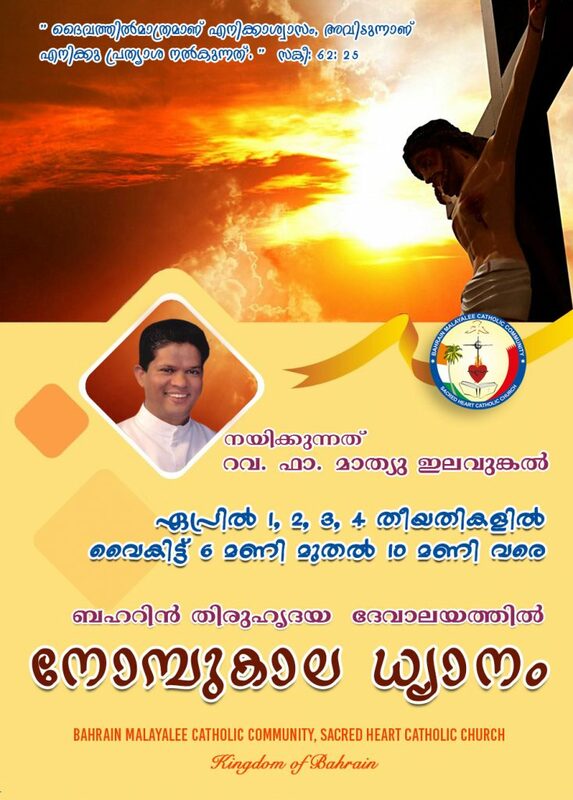 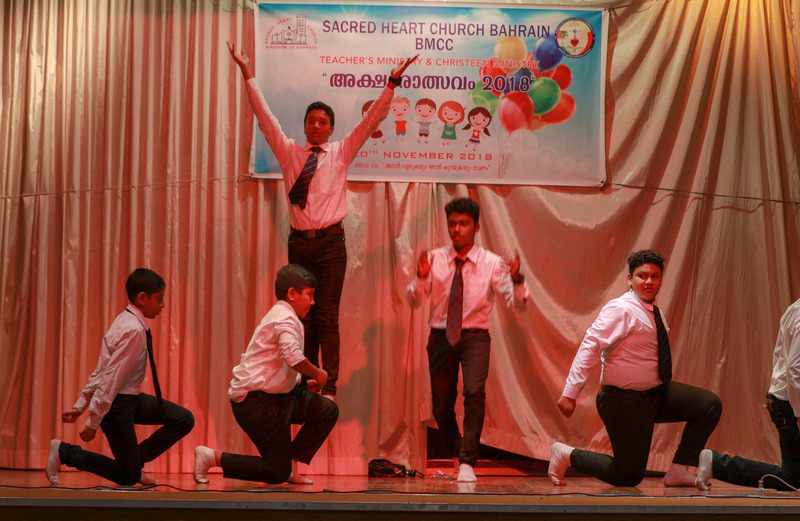 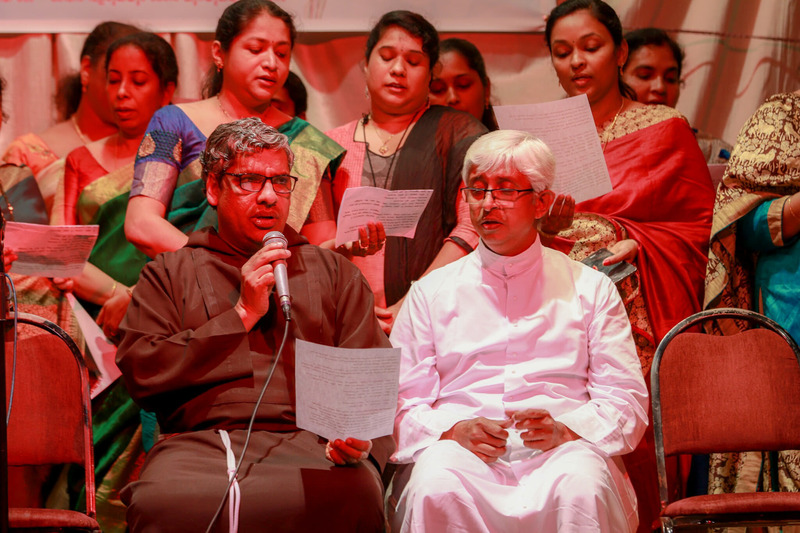 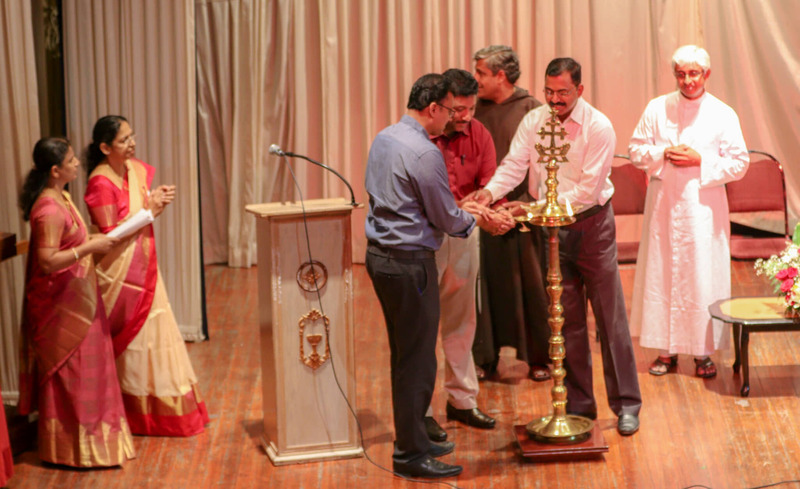 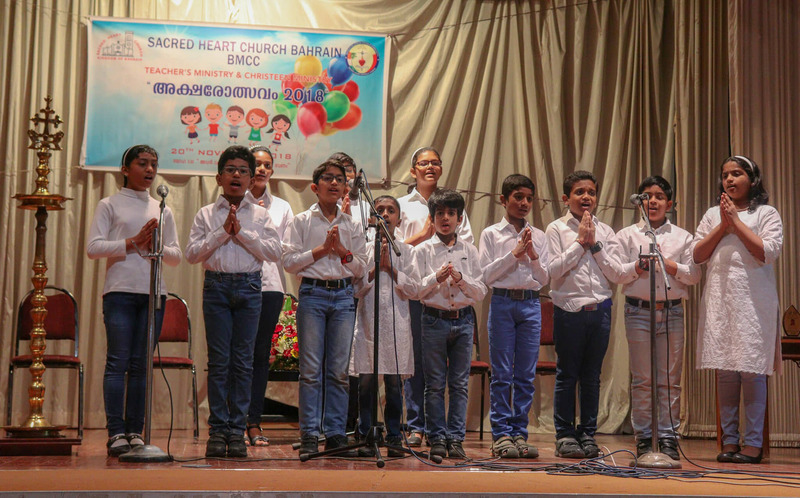 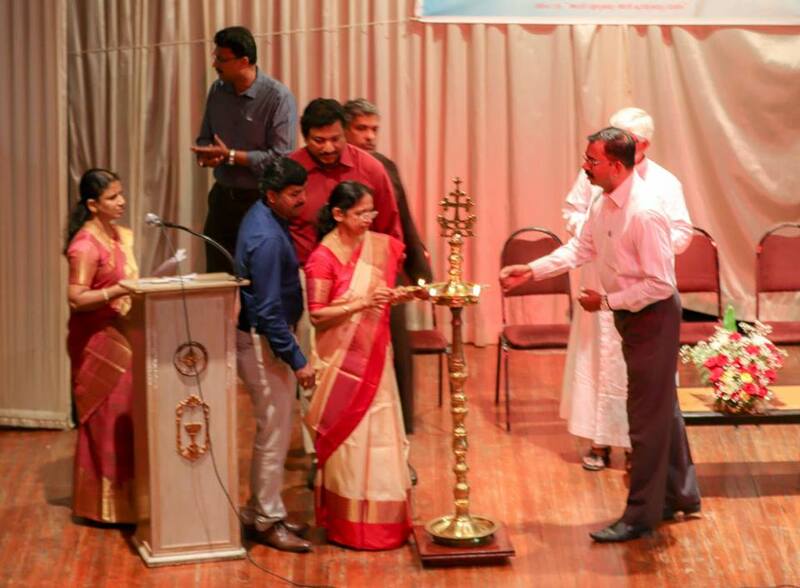 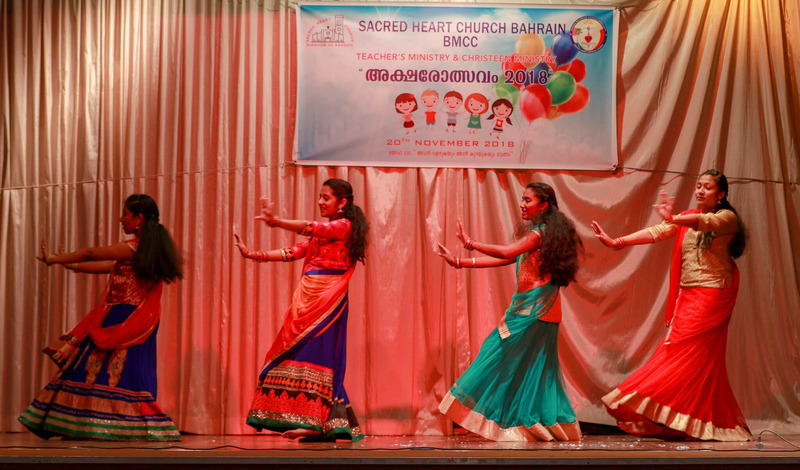 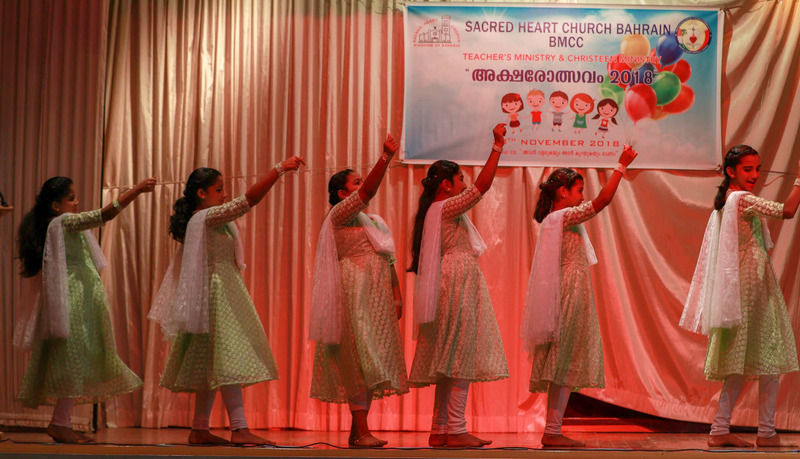 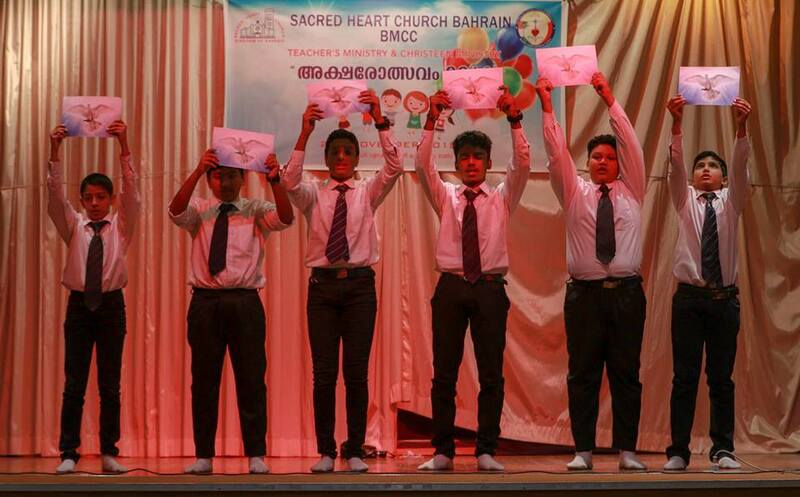 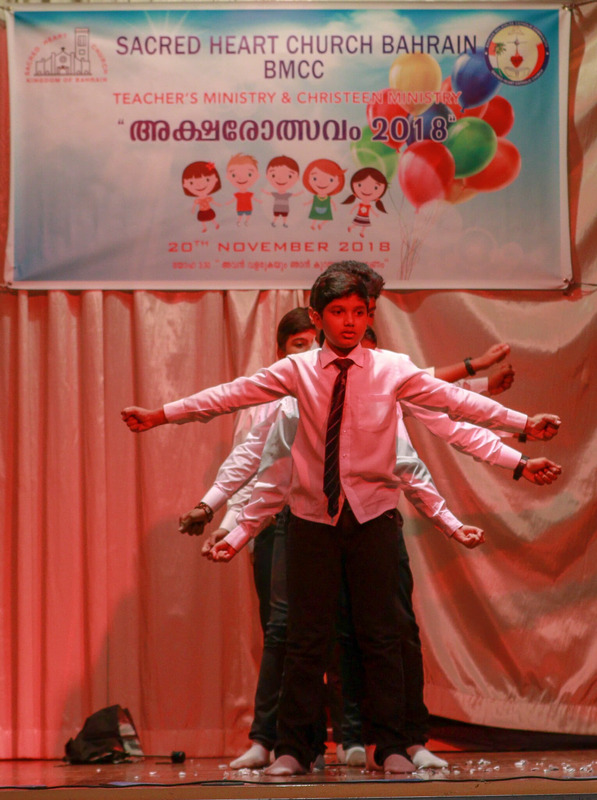 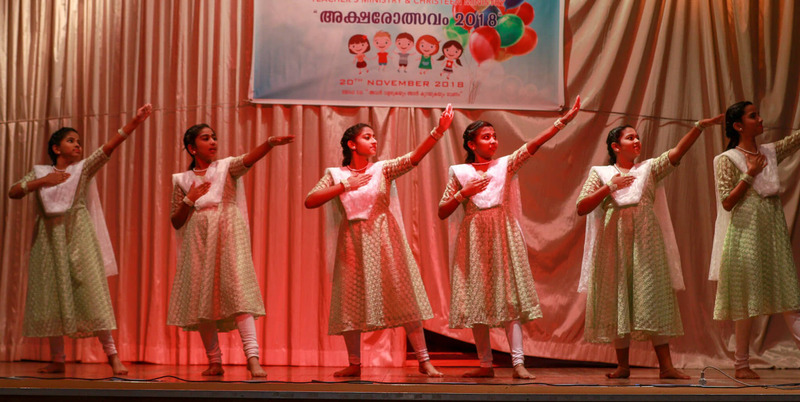 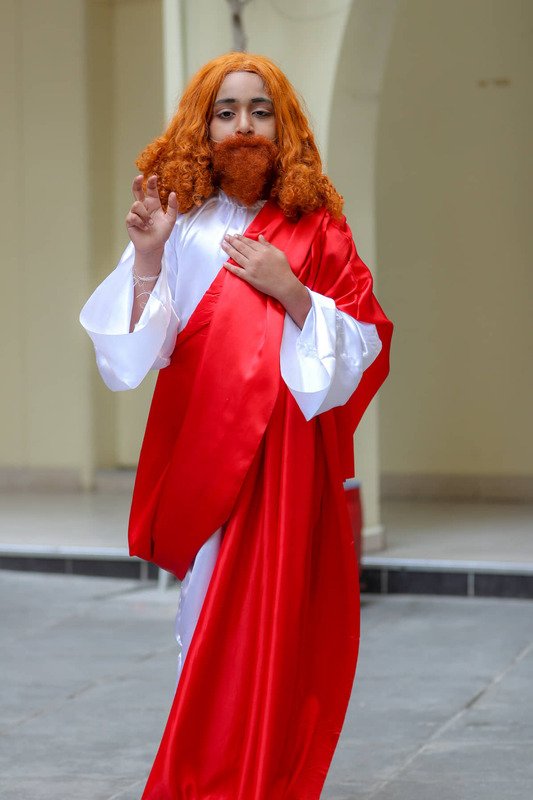 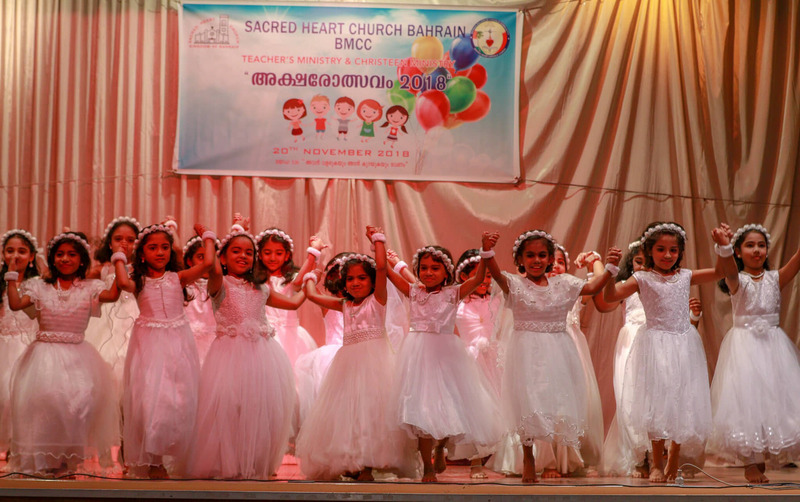 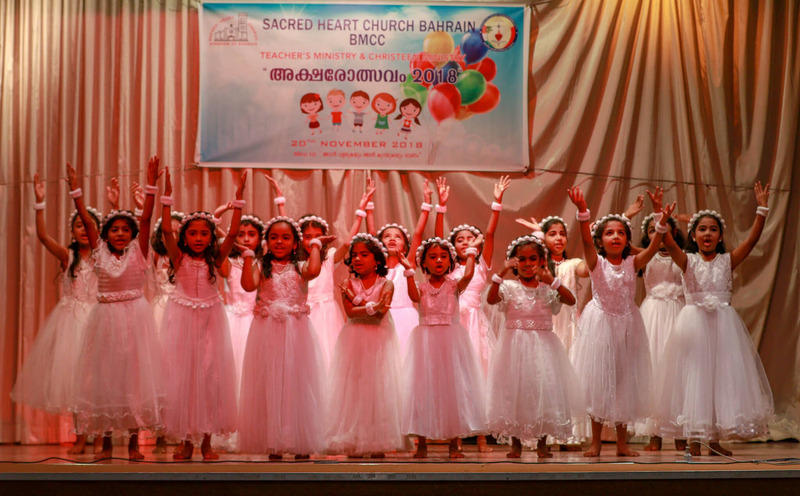 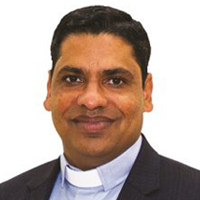 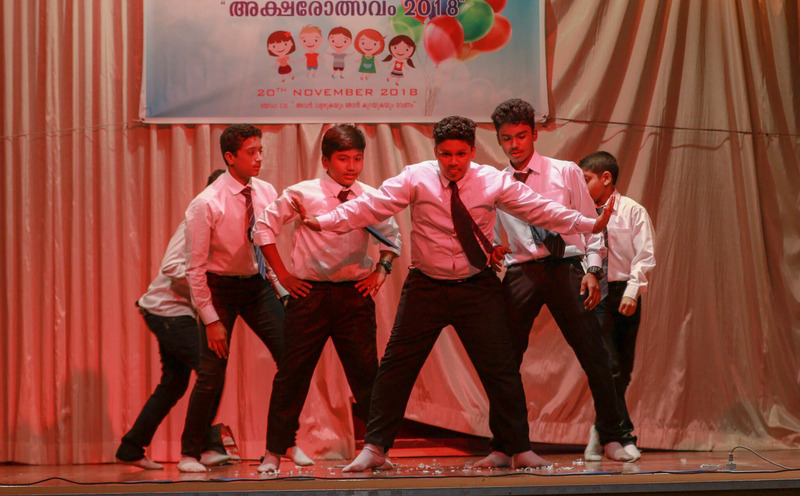 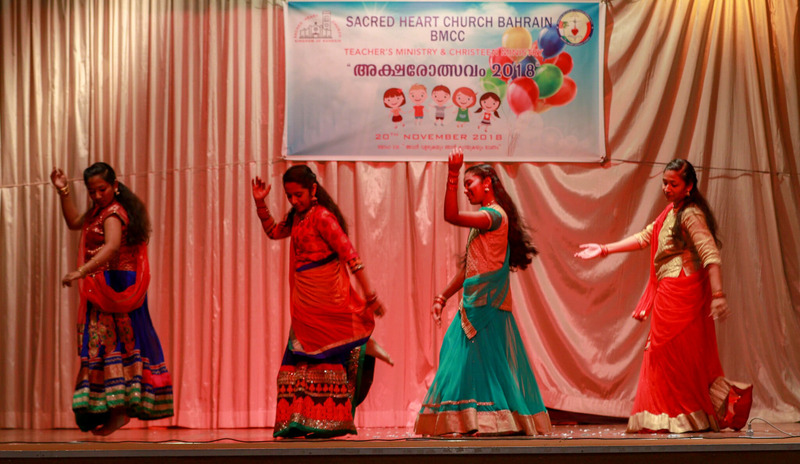 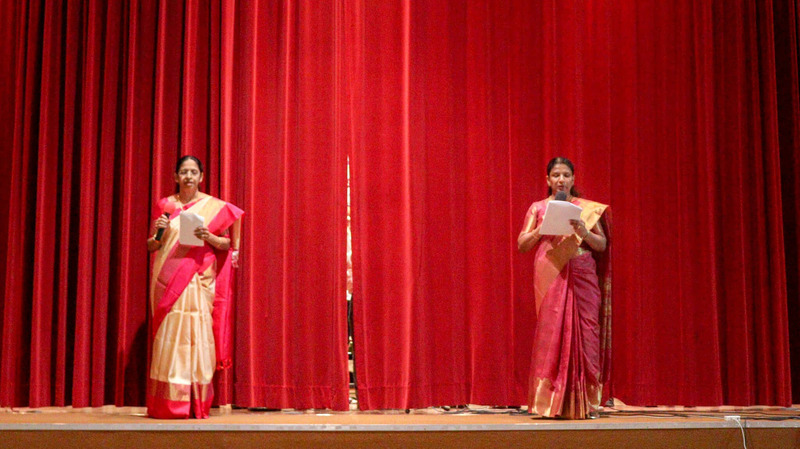 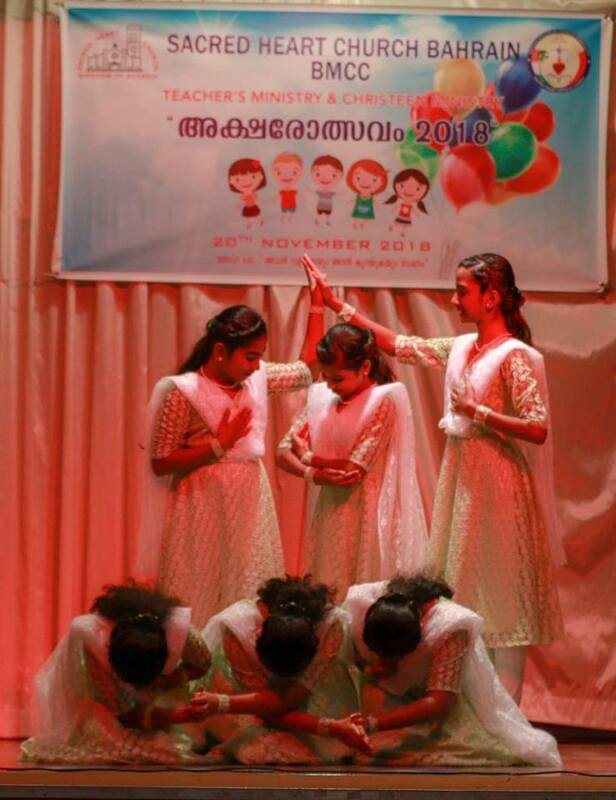 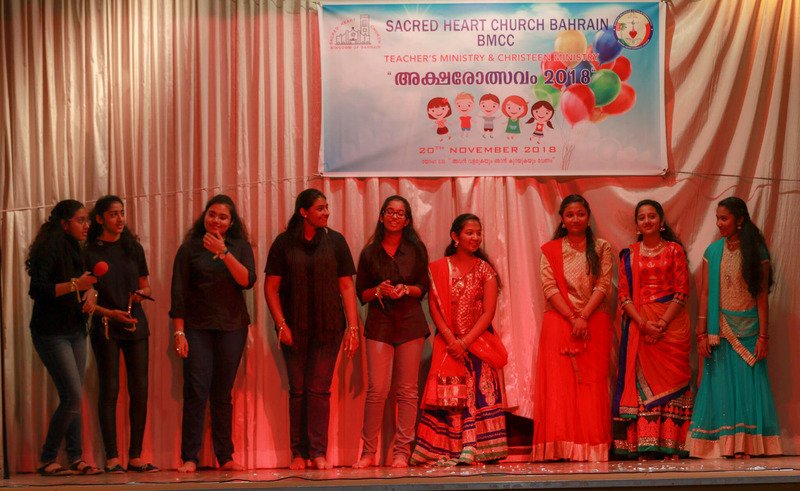 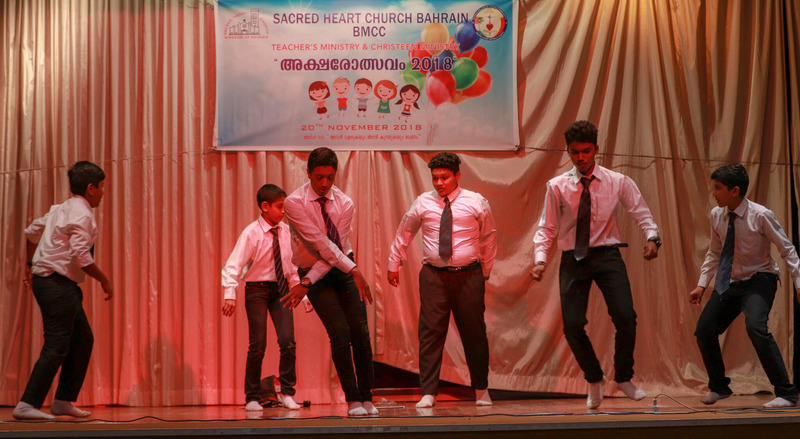 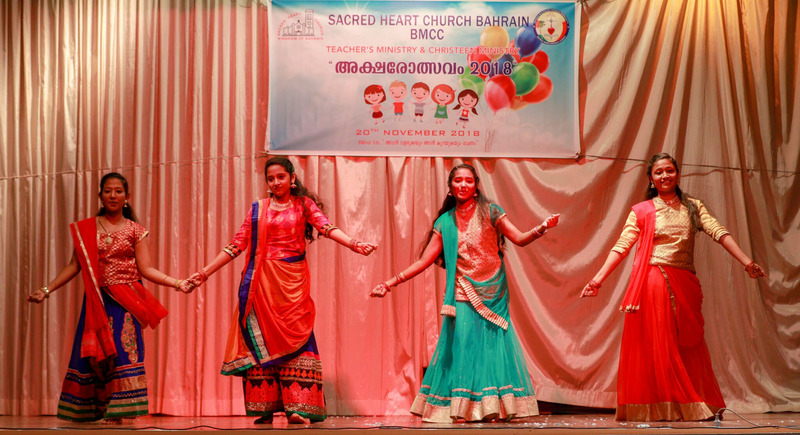 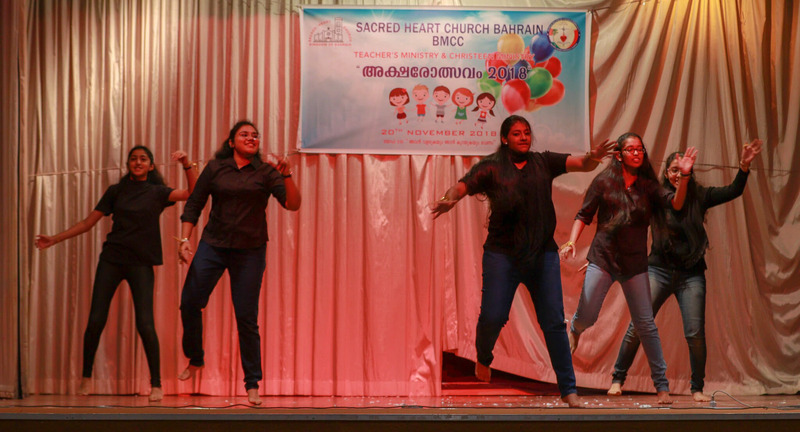 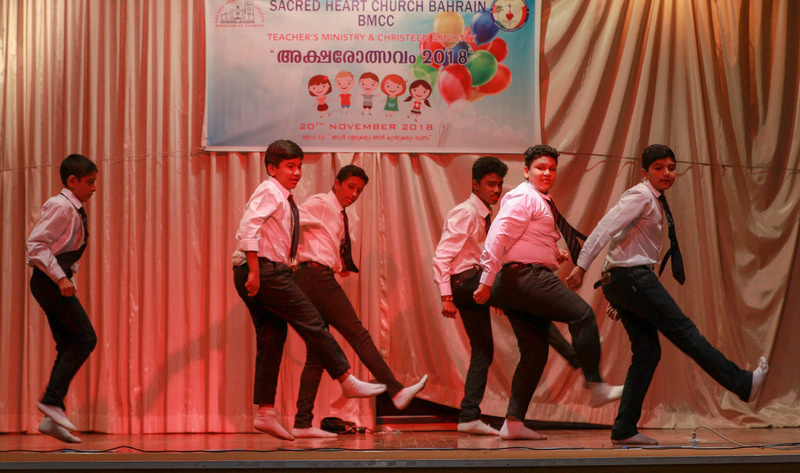 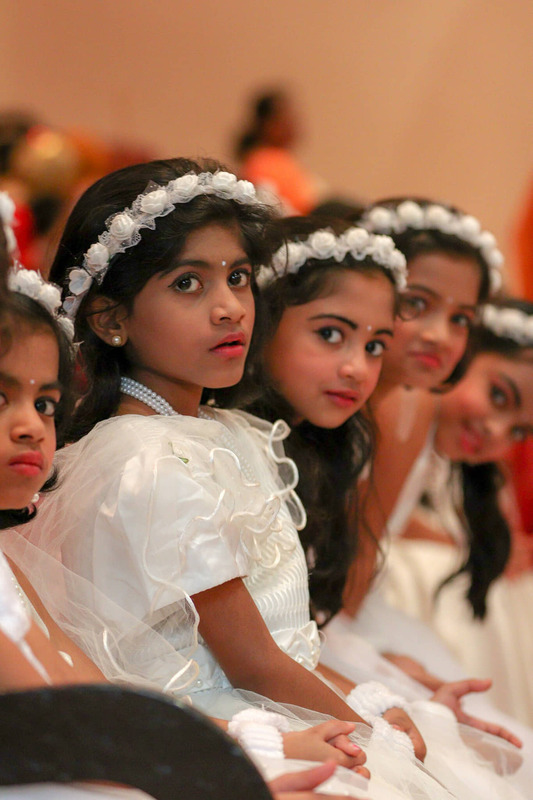 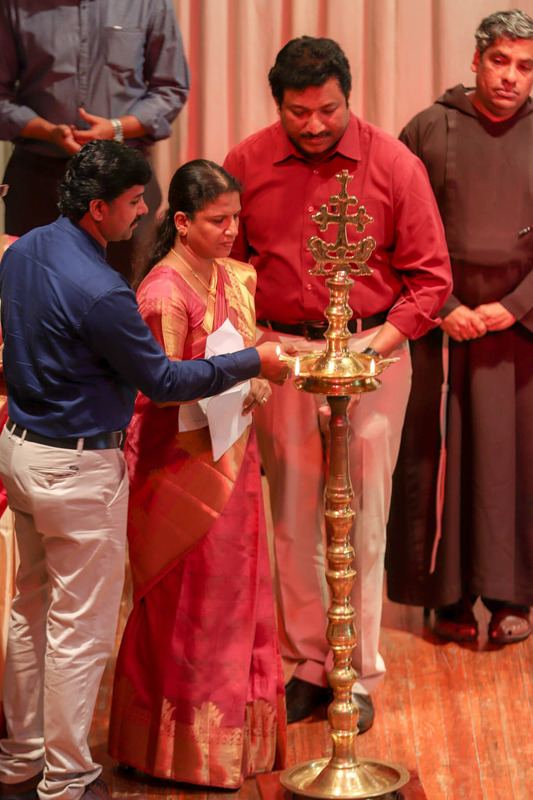 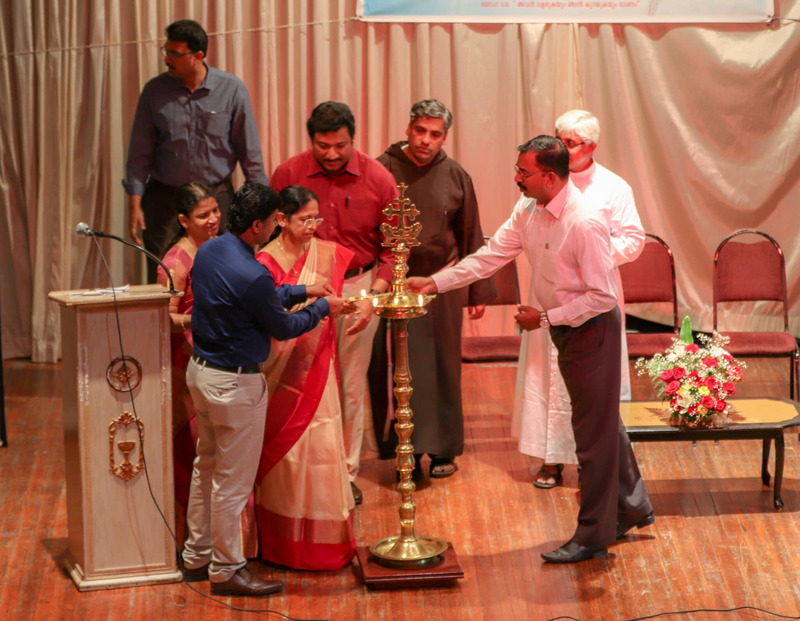 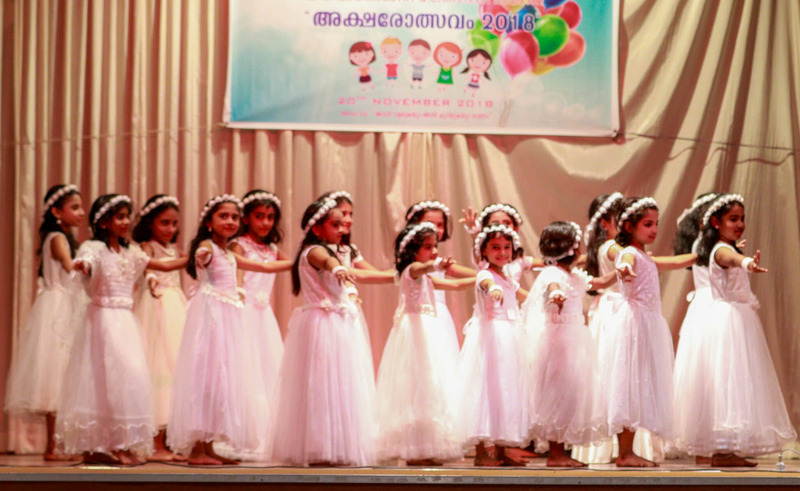 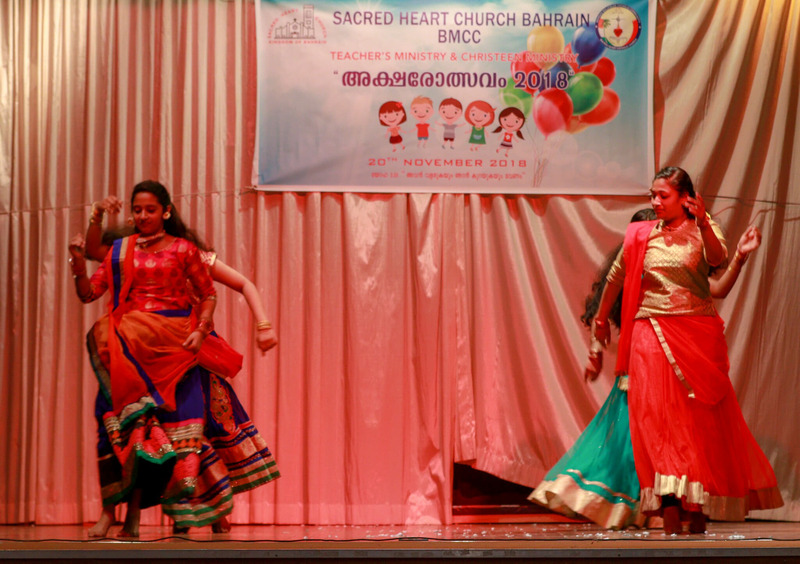 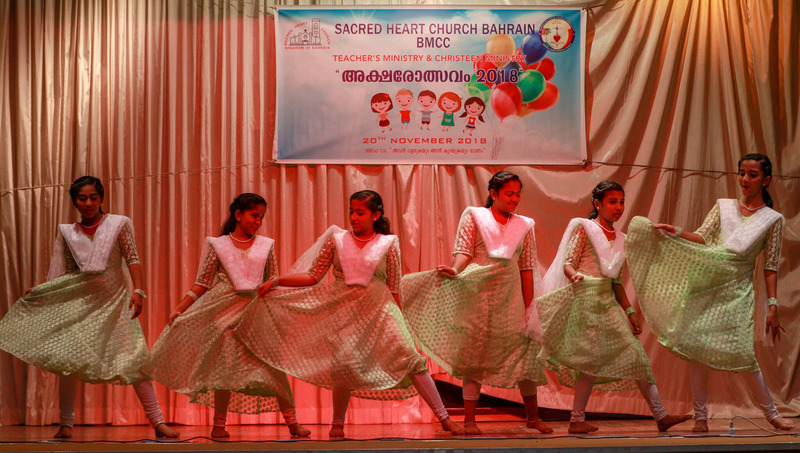 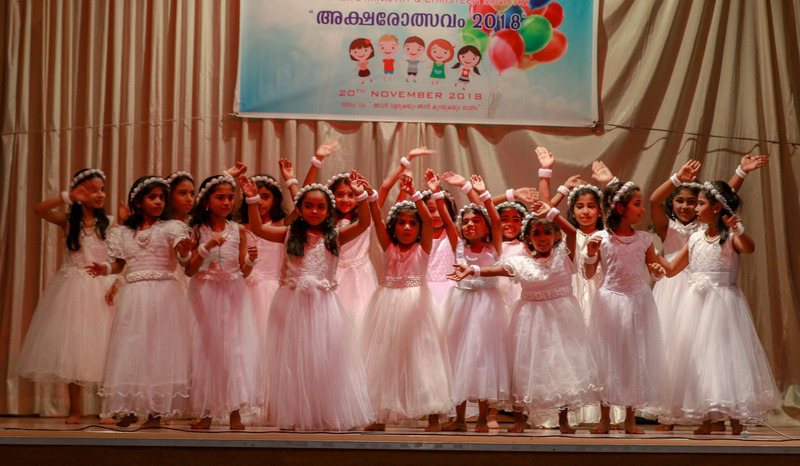 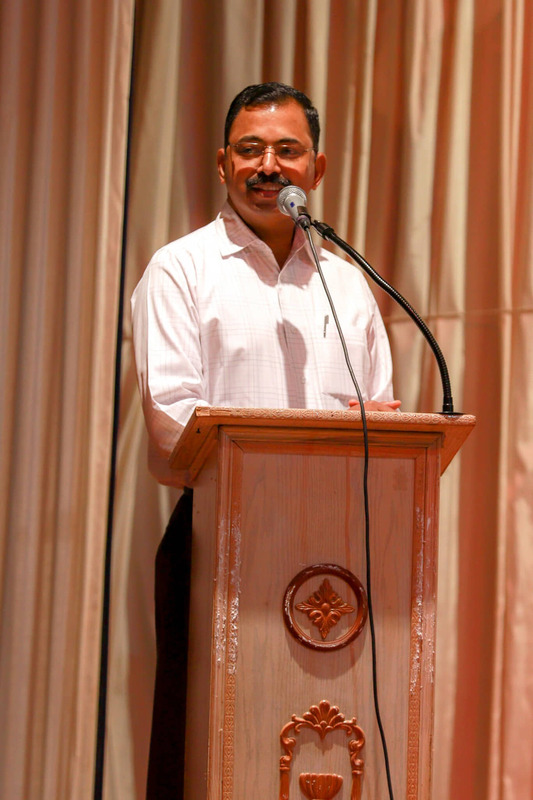 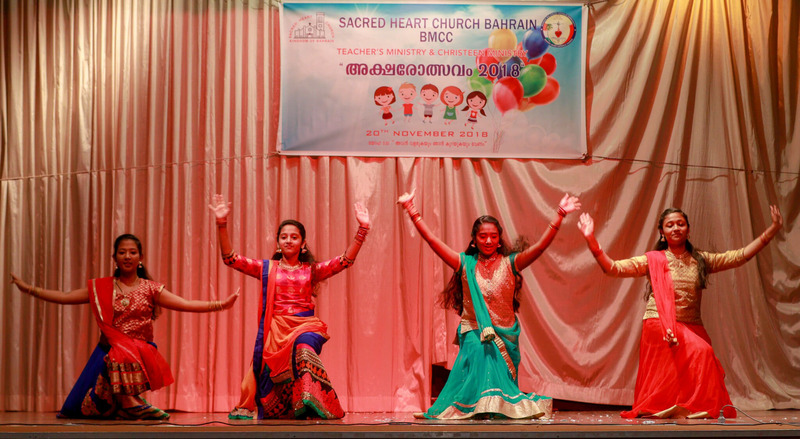 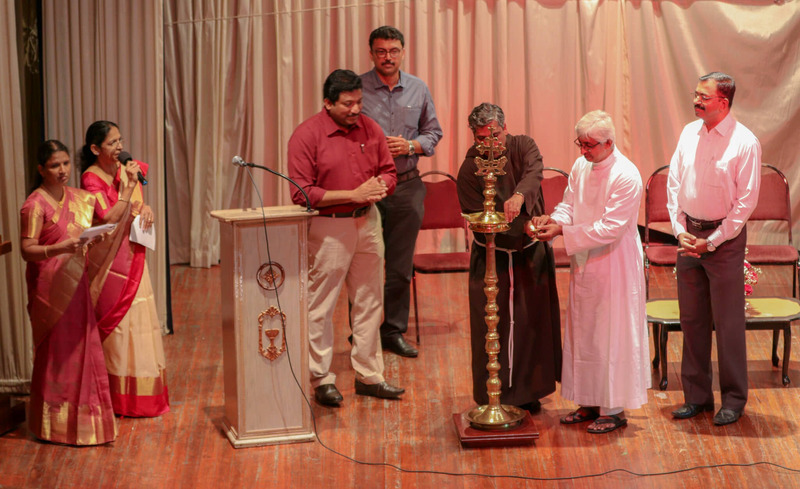 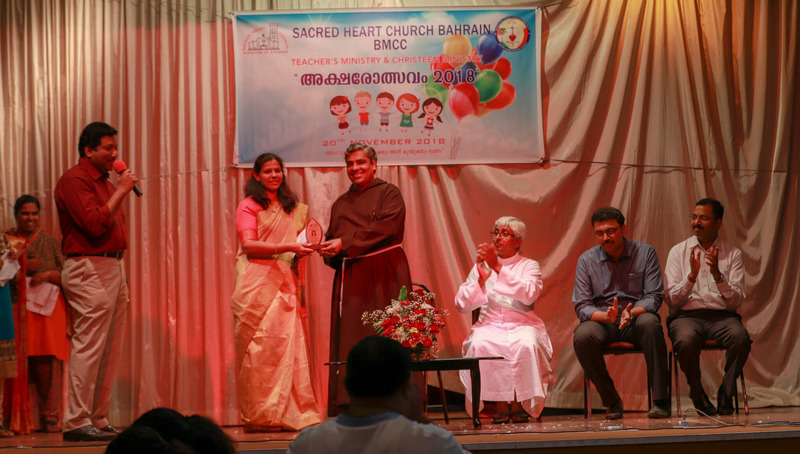 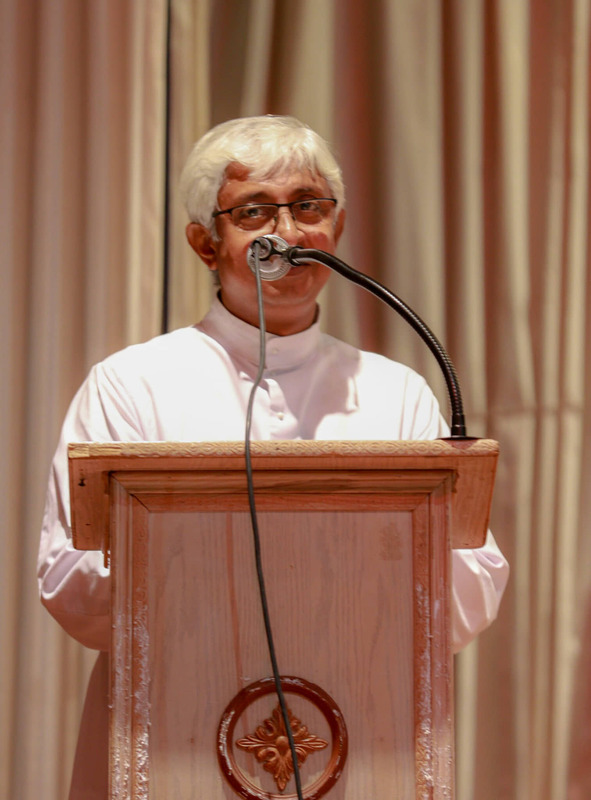 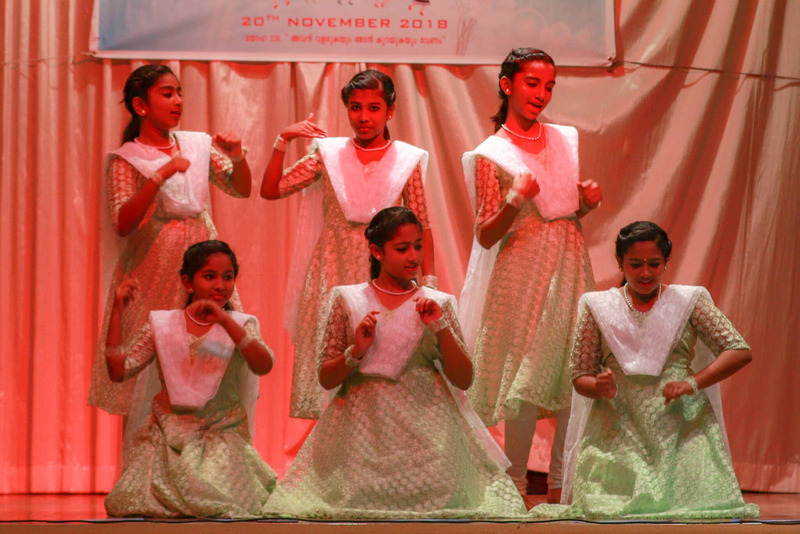 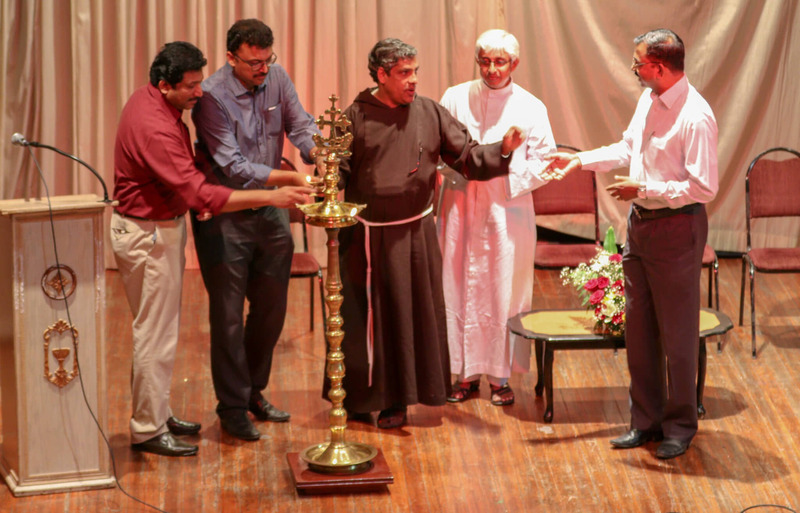 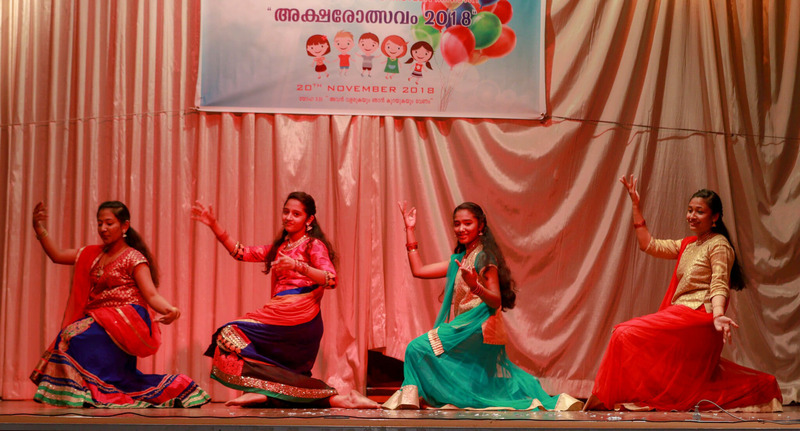 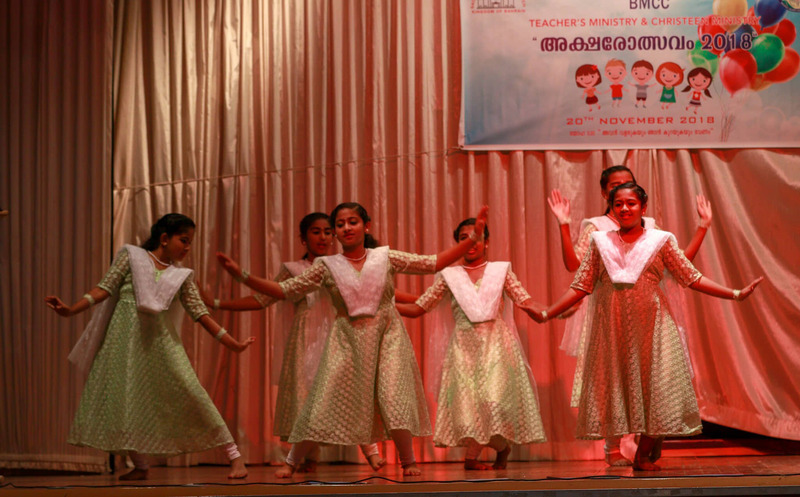 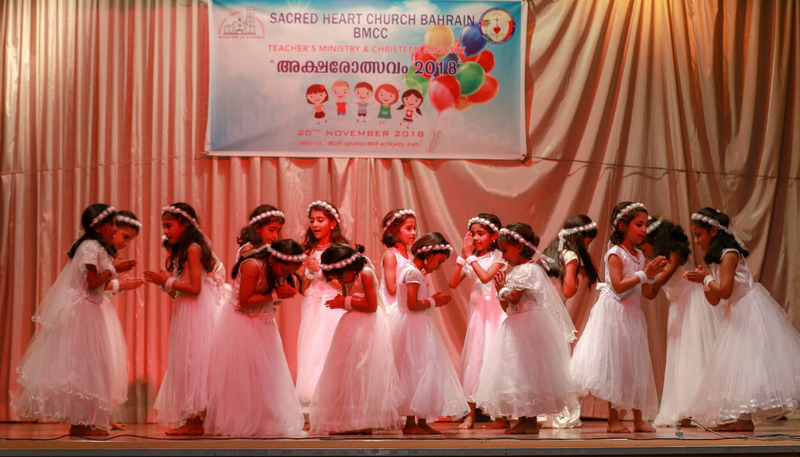 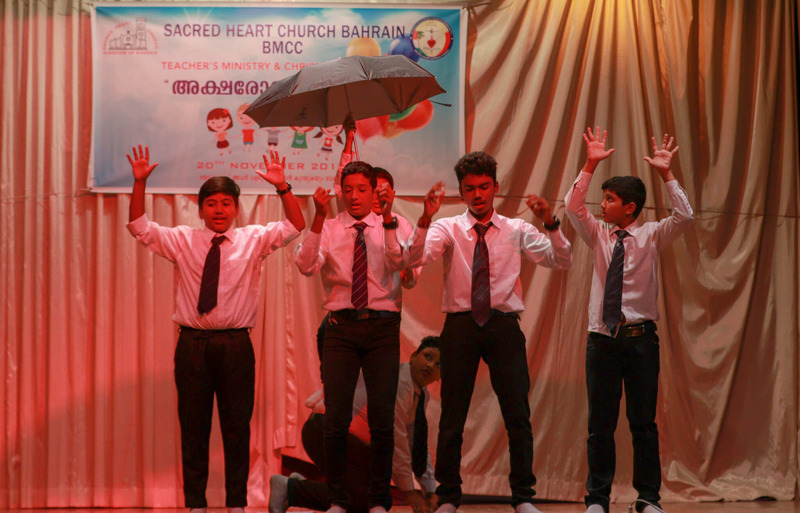 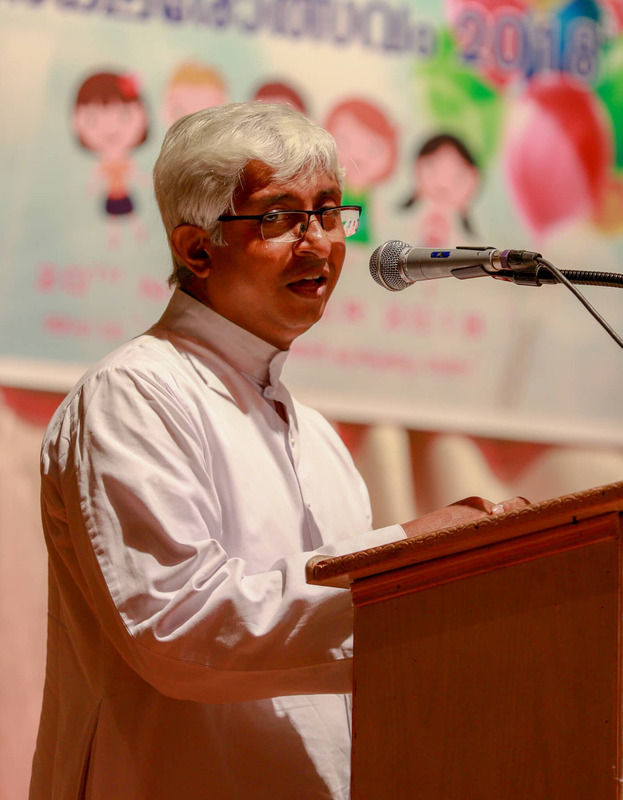 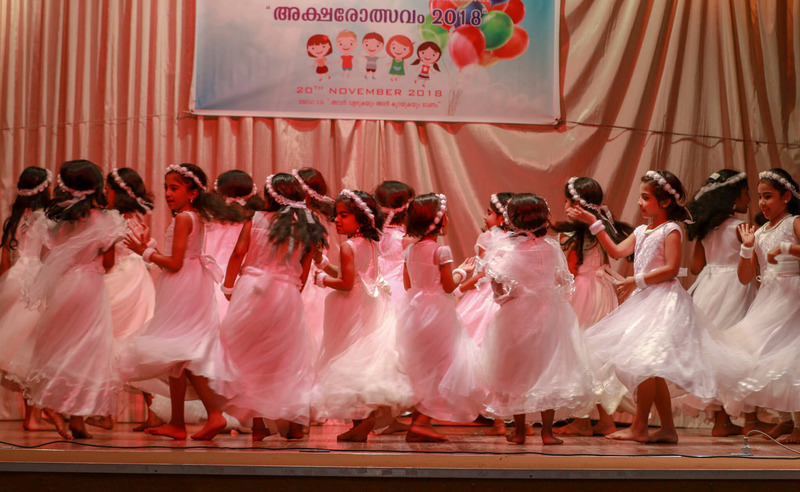 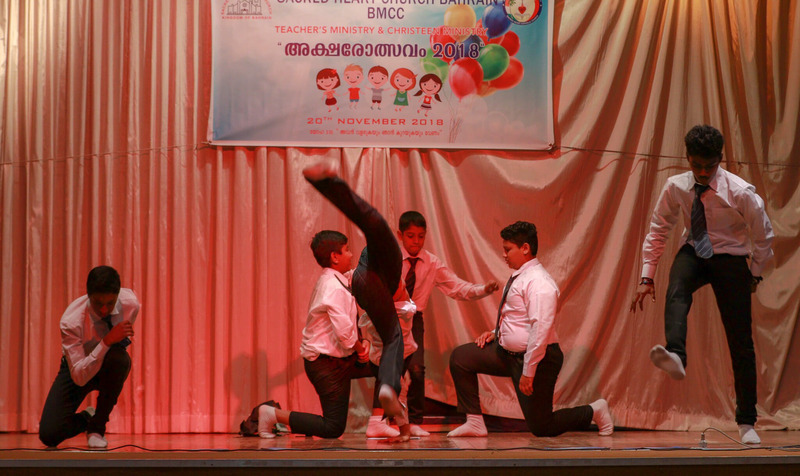 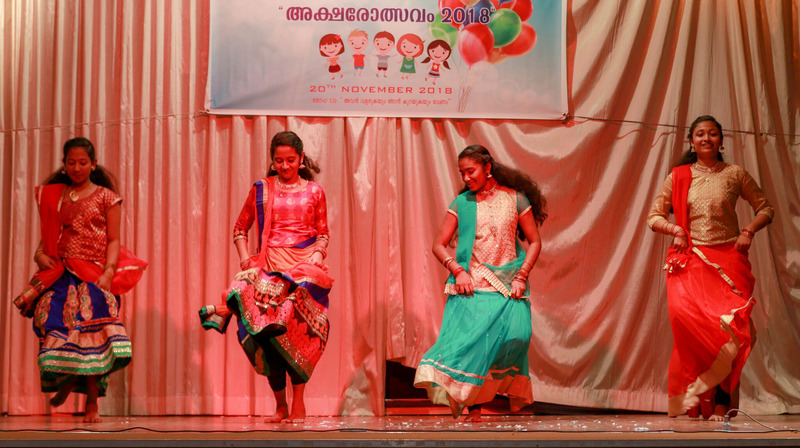 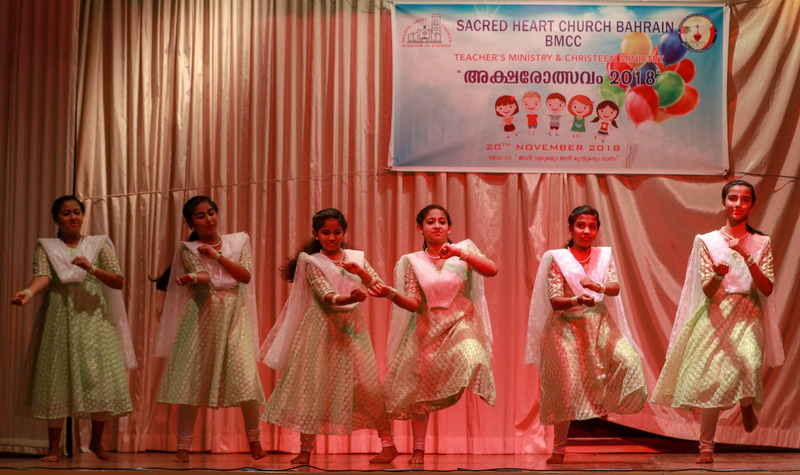 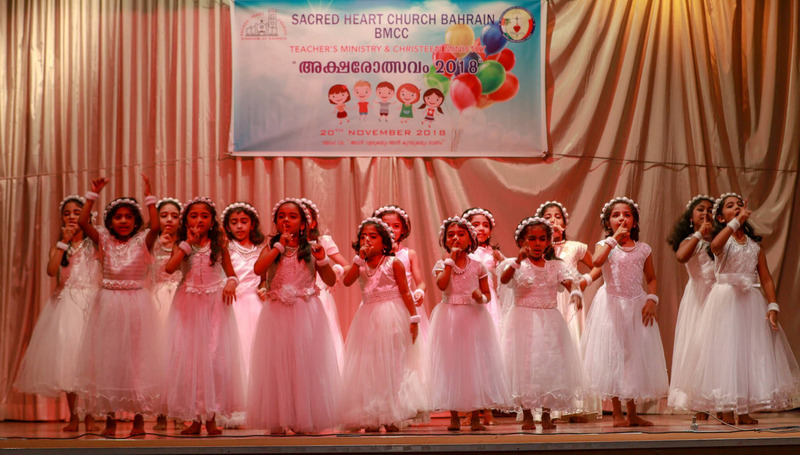 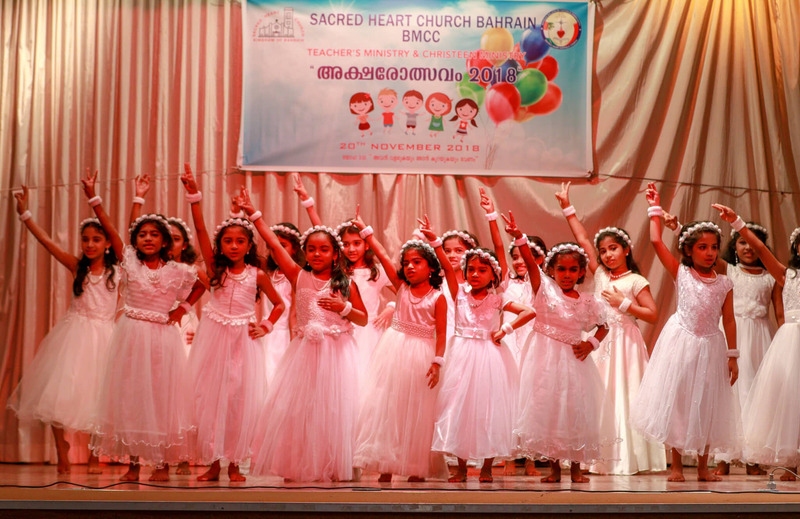 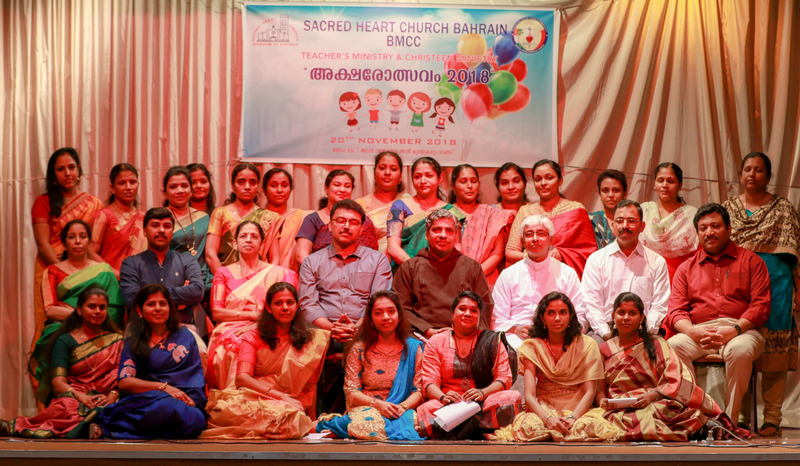 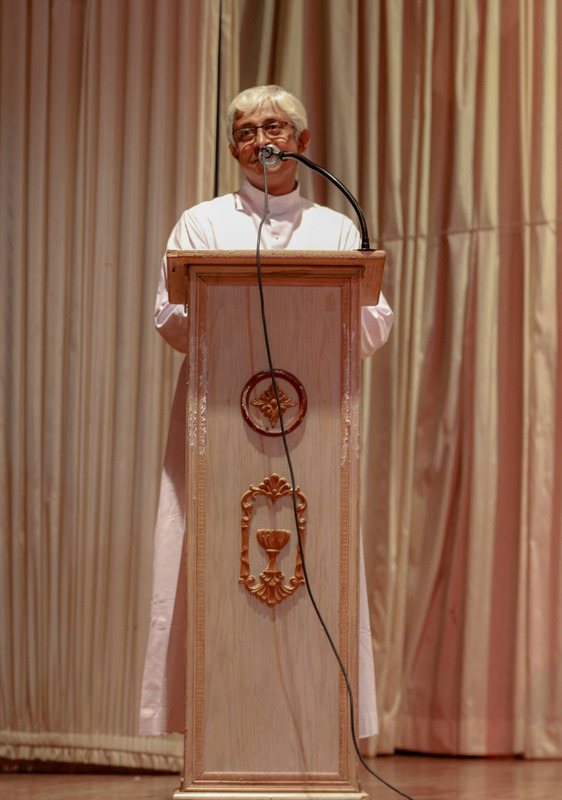 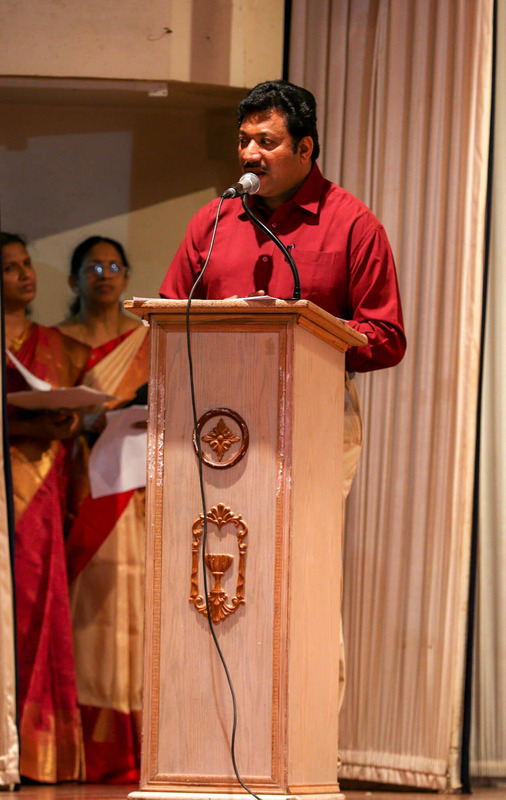 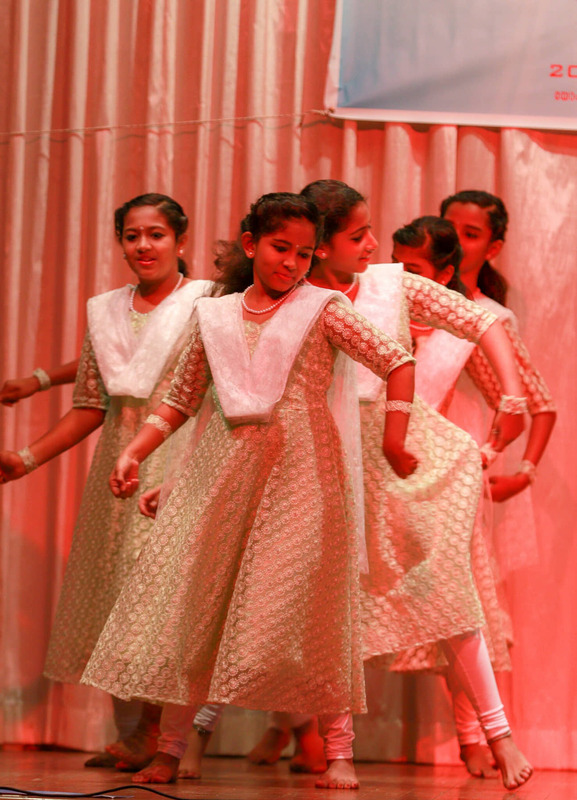 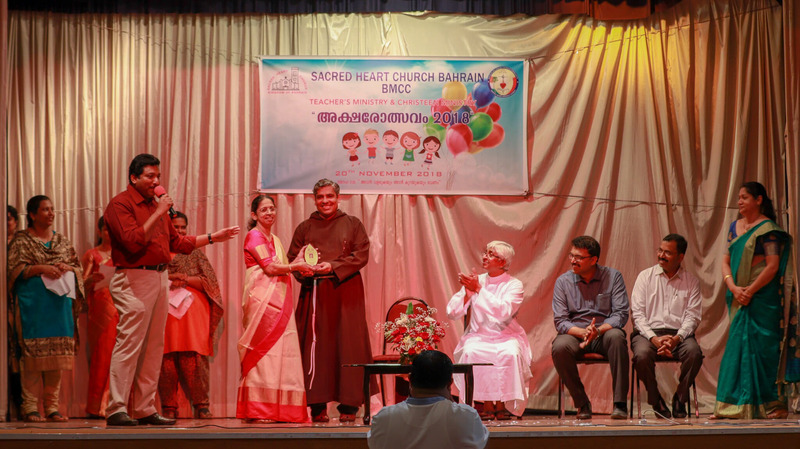 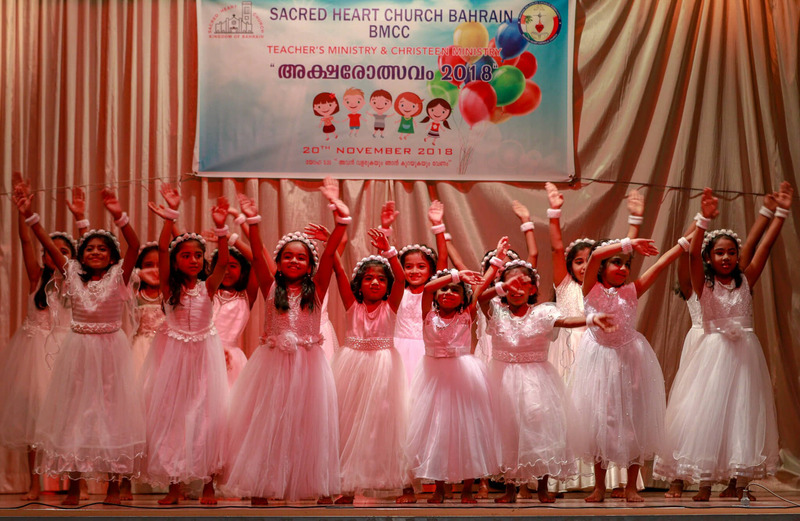 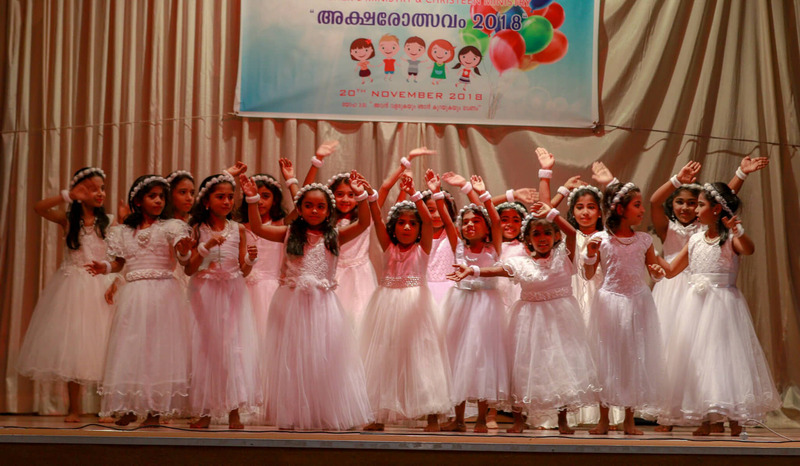 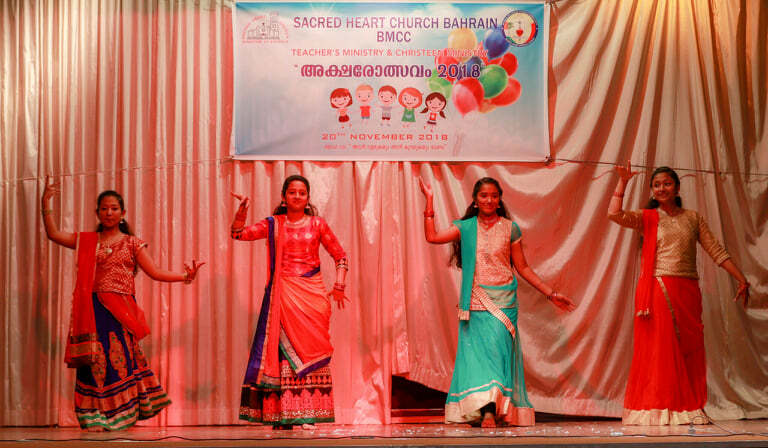 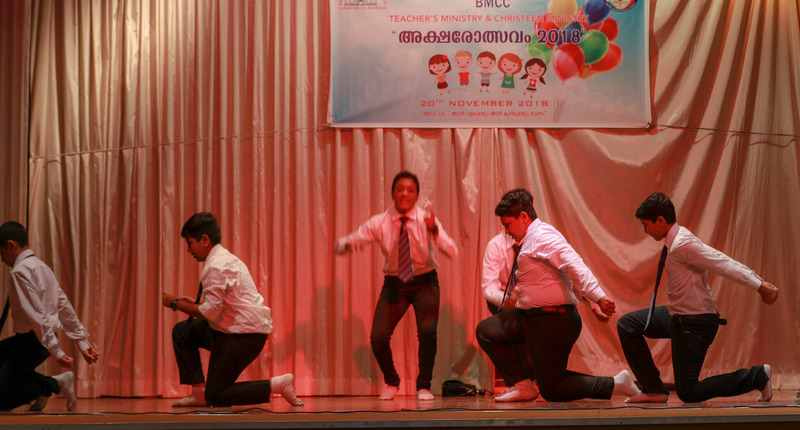 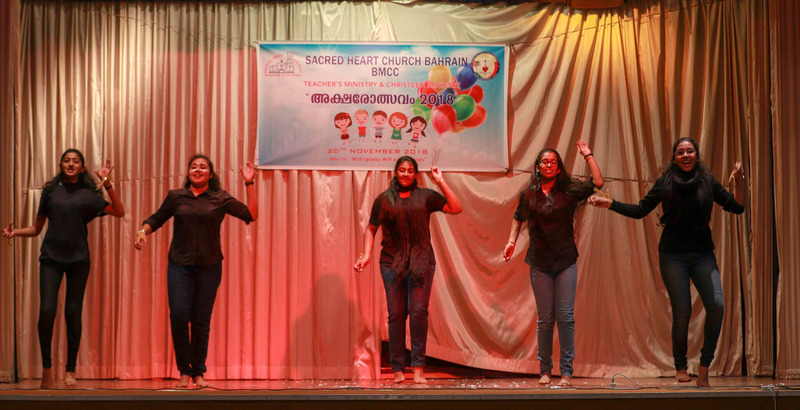 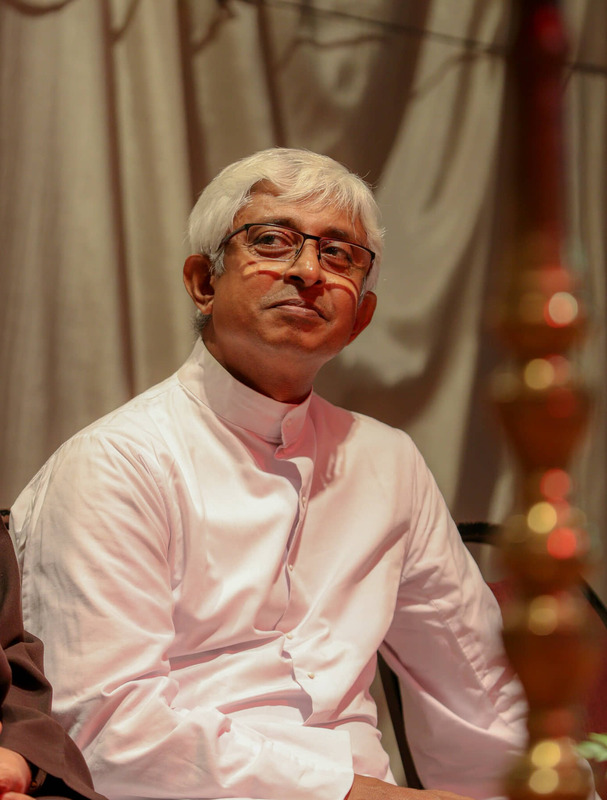 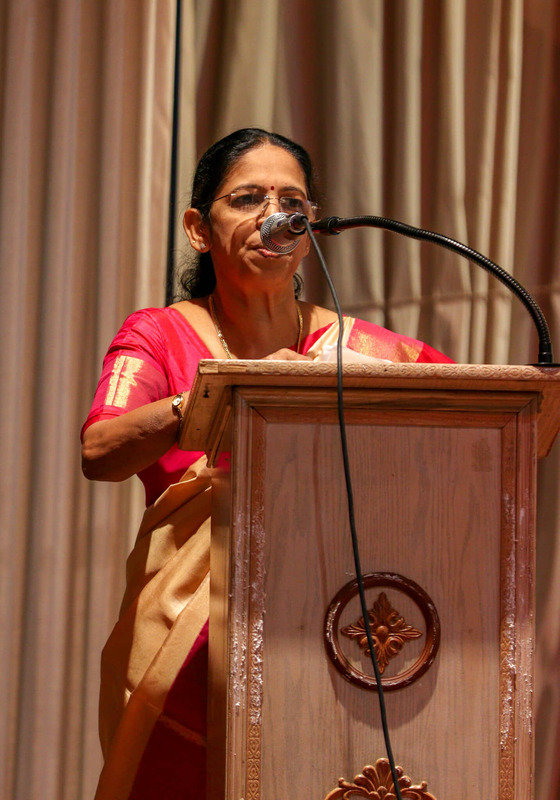 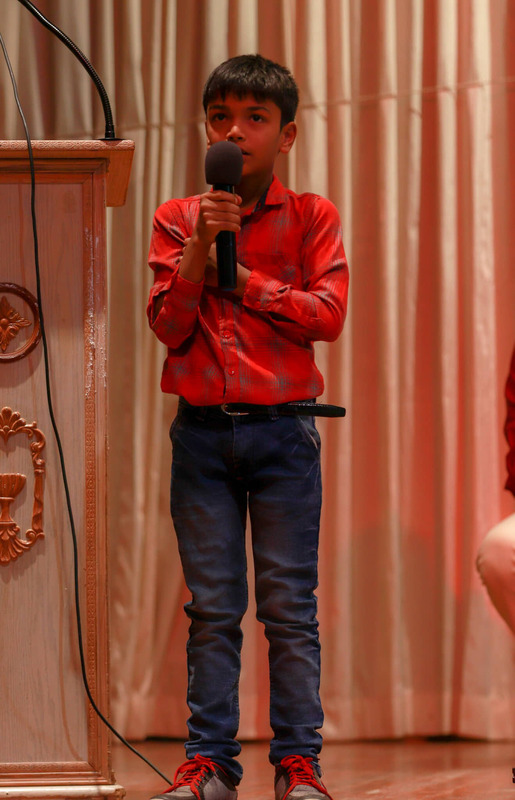 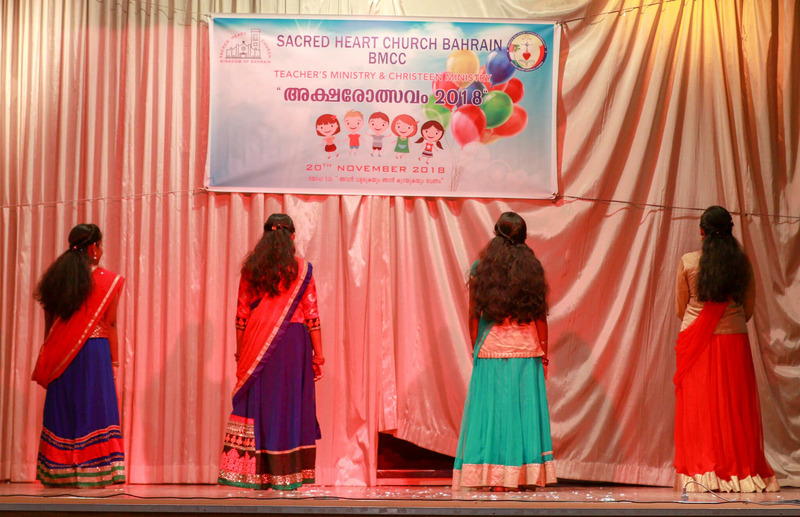 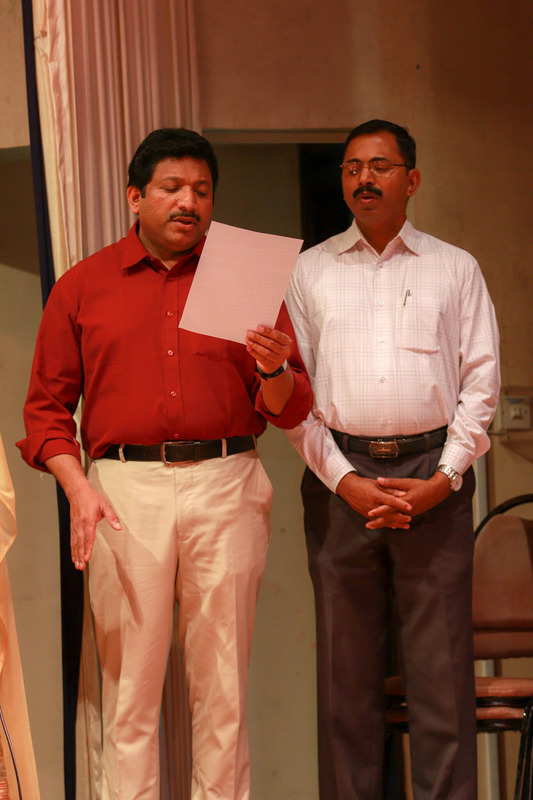 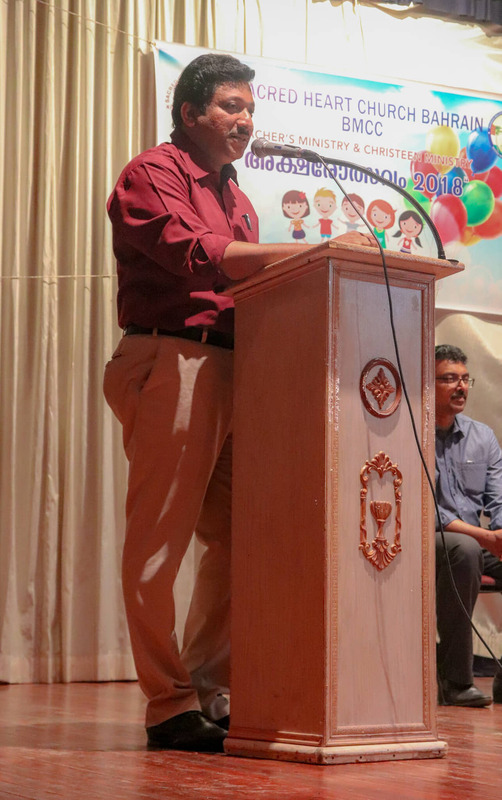 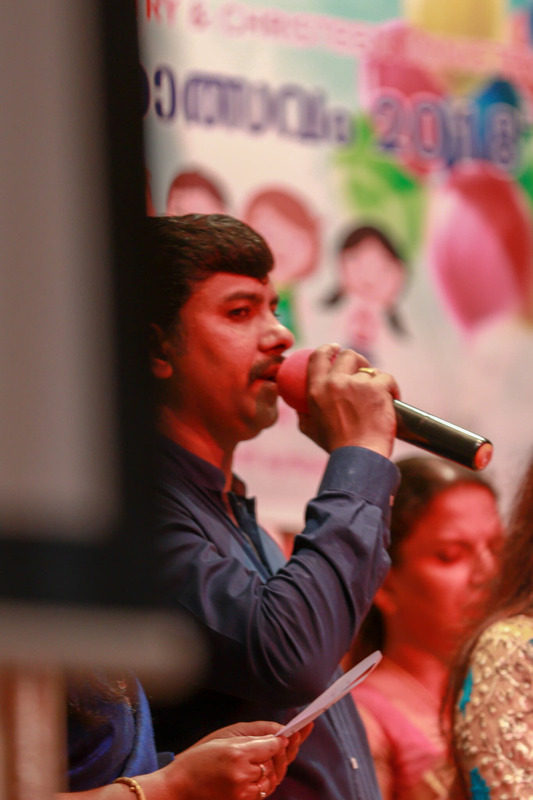 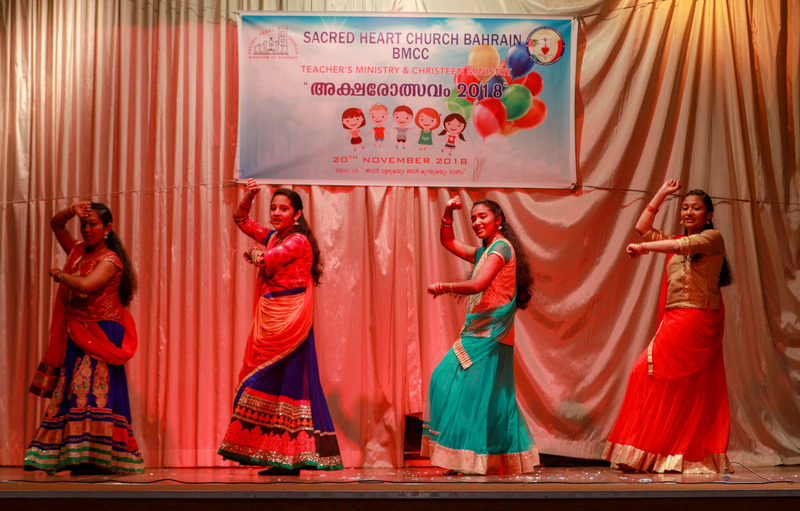 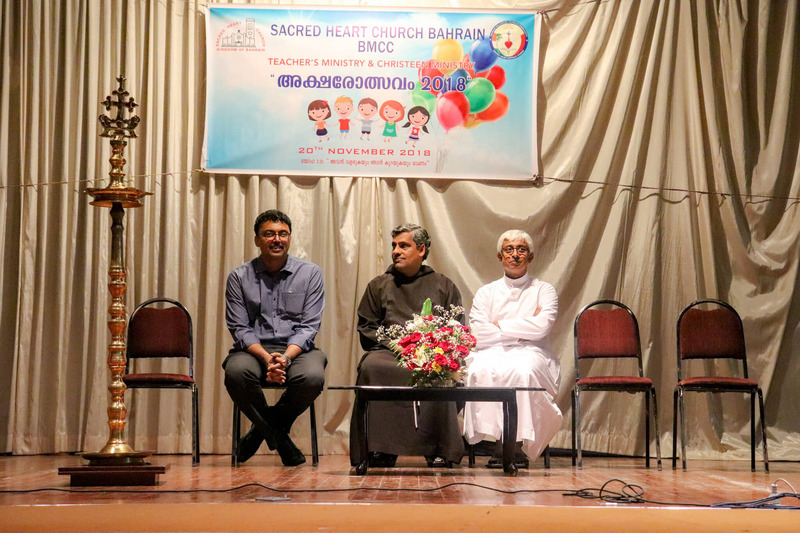 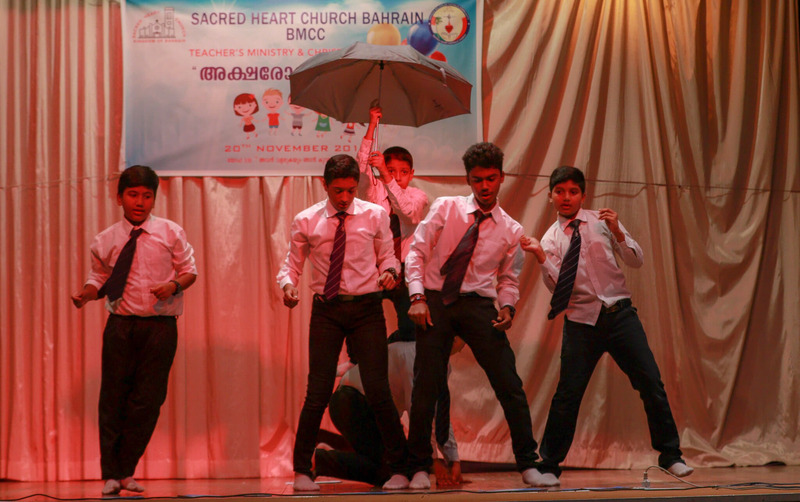 Bahrain Malayalam Catholic Community, called BMCC in short, welcomes all faithful in general and Malayalam Community in particular to the site. 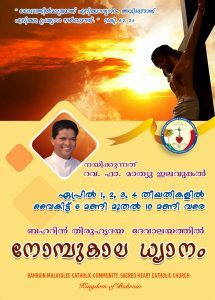 Being away from home in this great nation, our intention is to share the church activities at the comfort of your home. 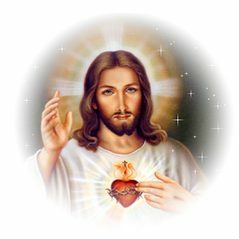 May almighty God bless us in all our endeavors. 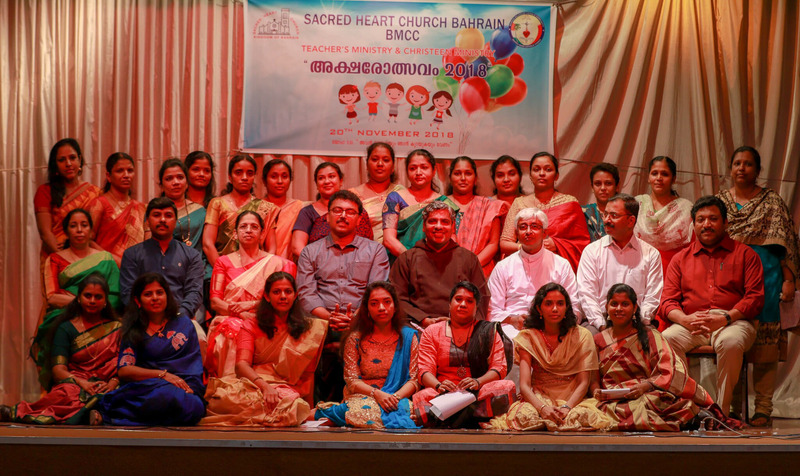 Sacred Heart Church Bahrain was first established on the Christmas Eve. 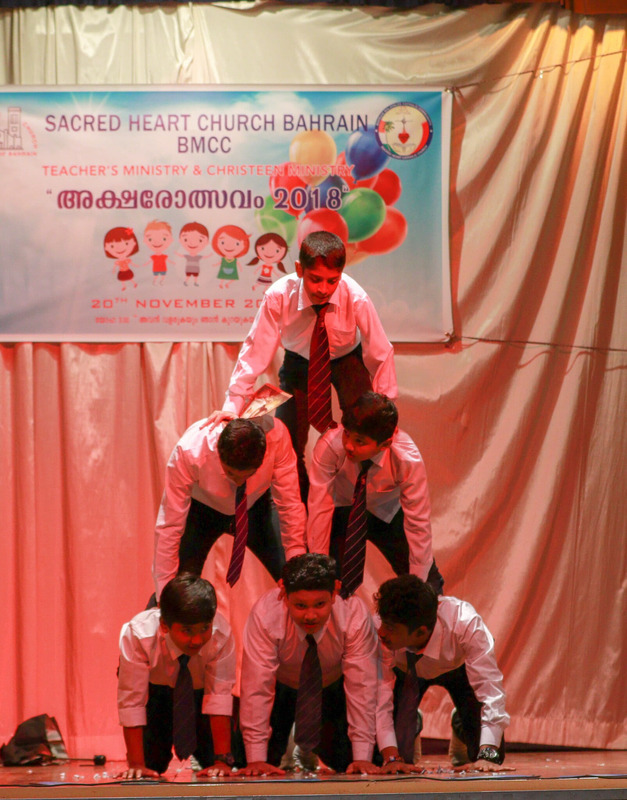 Its bells rang for the first time on 24 December 1939 at 11PM. 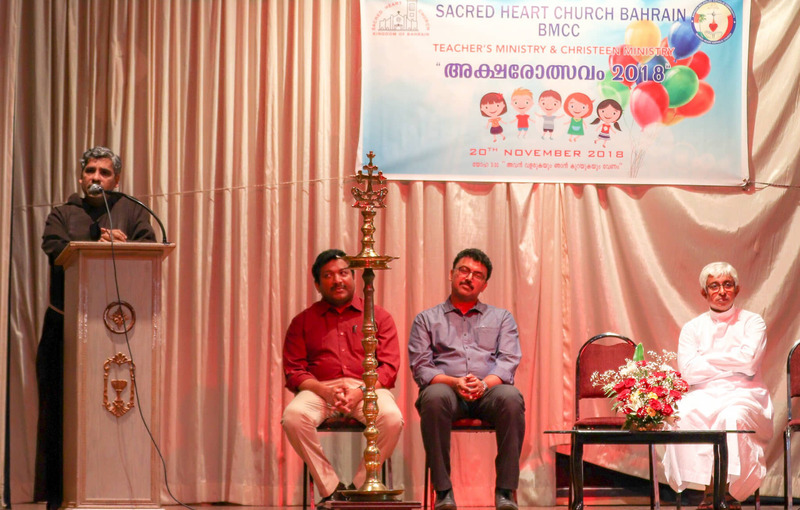 It is the first Church to be built in the region. 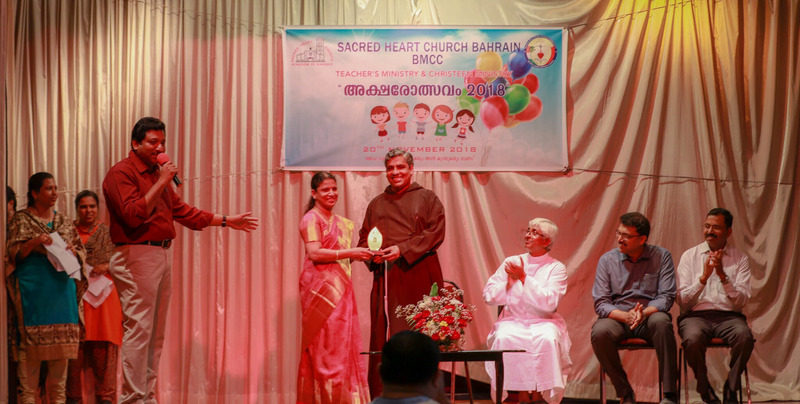 Since then, the church has been blessed with very dedicated shepherds. 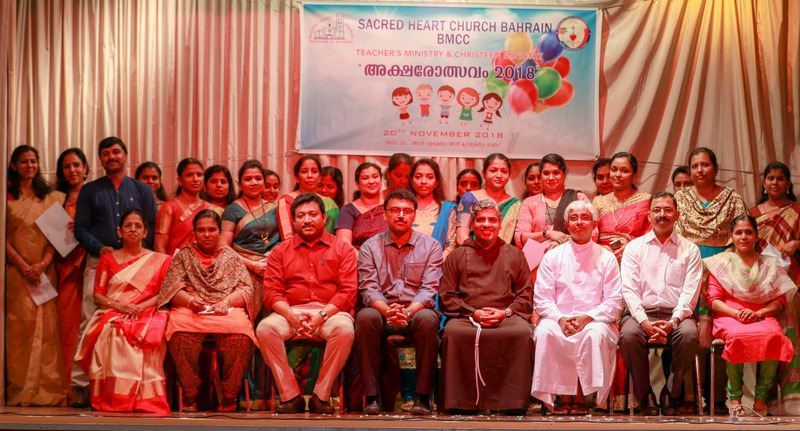 Sacred Heart has become the first christian community in the year 1938. 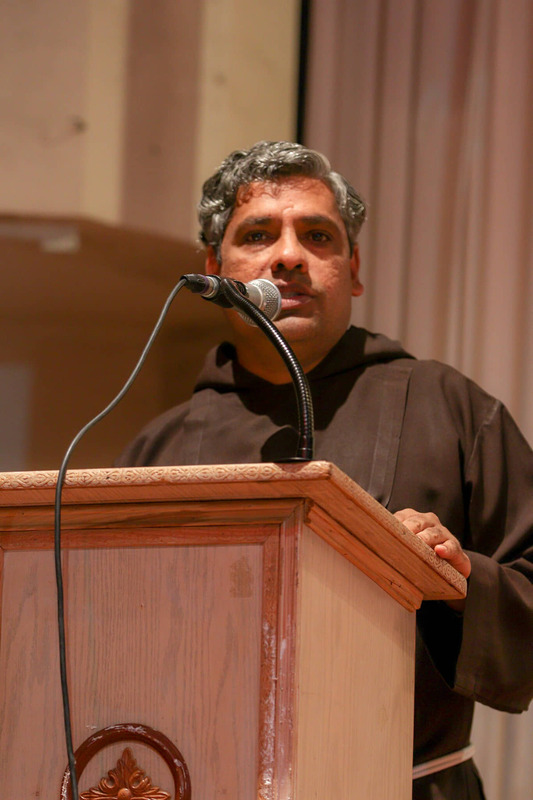 Bishop Tirinanzi, together with Fr Anselem were the early parishioners. 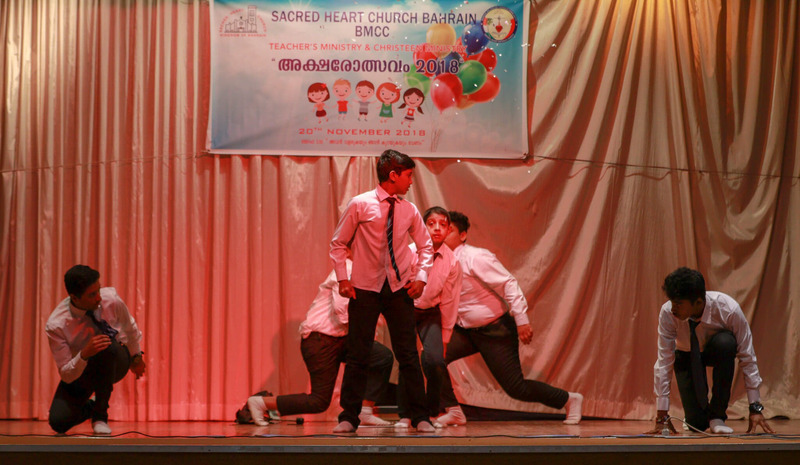 It was H.H. 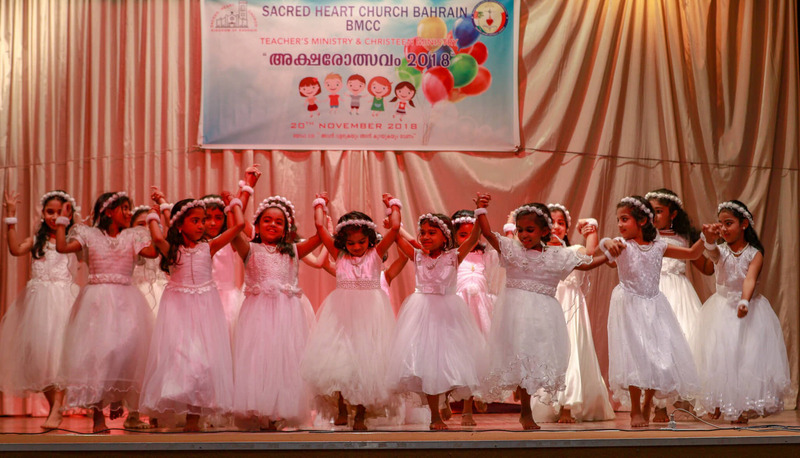 Shaikh Haman Bin Isa Al Khalifa, then Ruler of Bahrain, who graciously offered a plot of land to build the church. 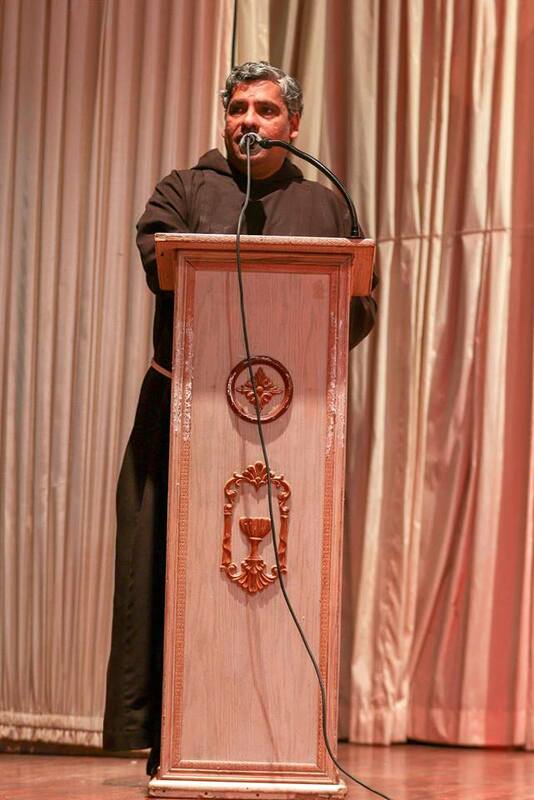 And with the help of Fr Luigi, a capuchin priest, the church was built. 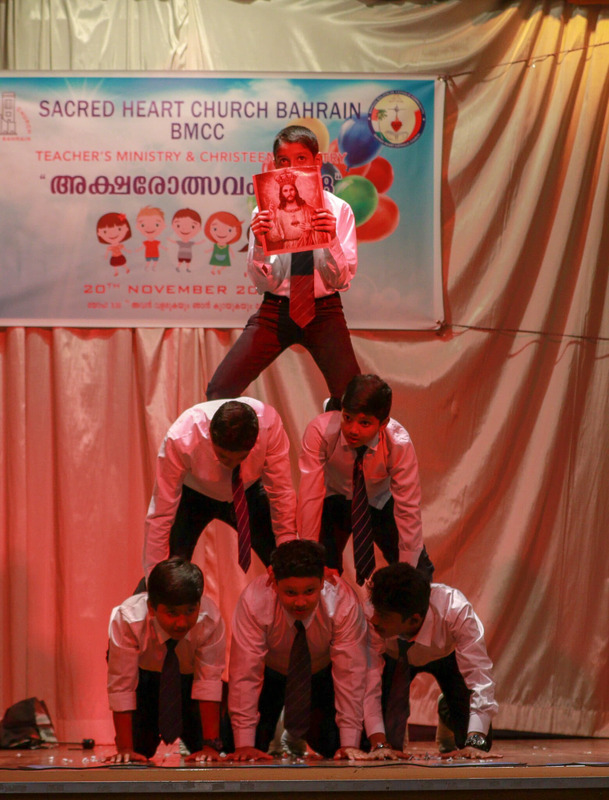 It was on June 9th, 1939 that the first foundation stone was laid. 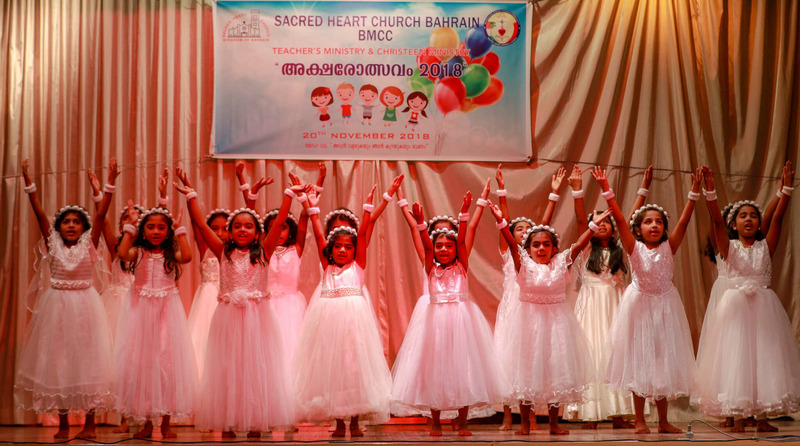 On March 3, 1940, the church was formally blessed…. 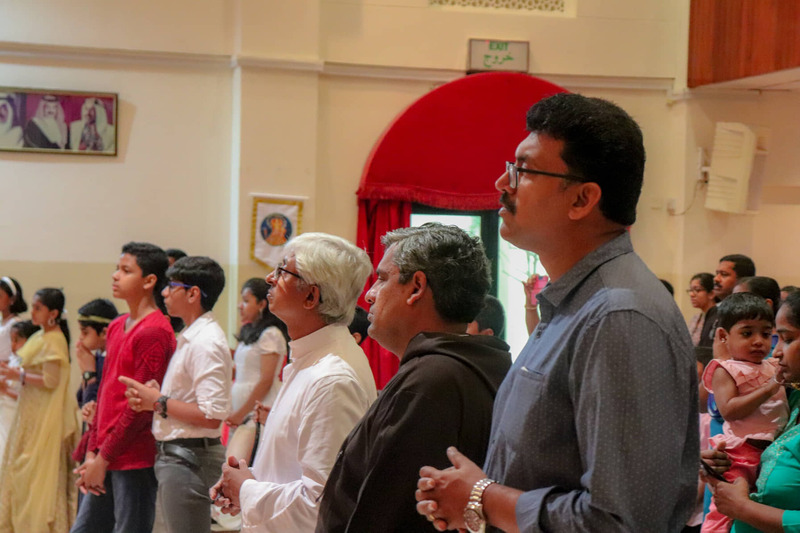 The liturgy is the public worship of the Church. 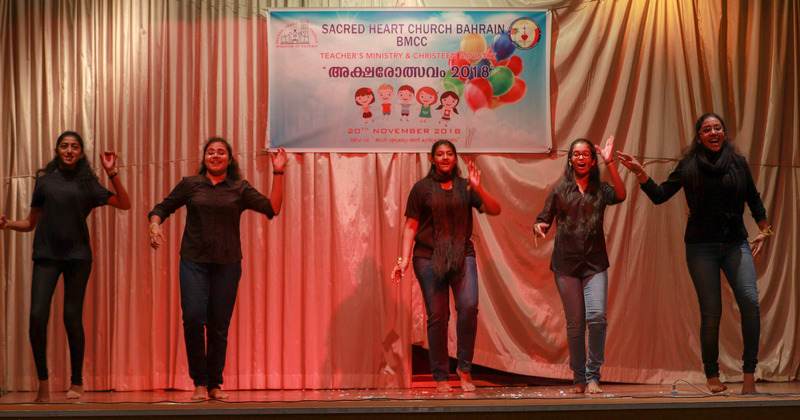 It is celebrated, not by individuals or groups within the Church, but by the entire Body of Christ. 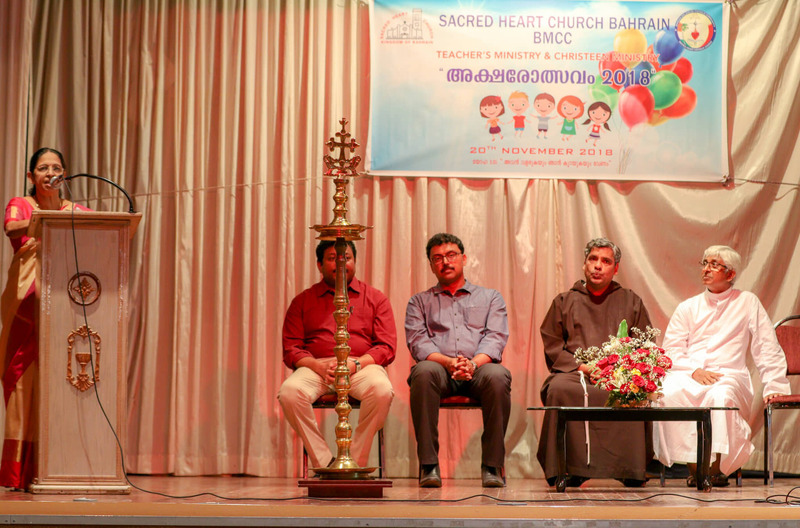 Sacred Heart Church Religious Corner has been functioning in the church compound to accomplish the meaning of the above scriptures through its silent and dedicated activities. 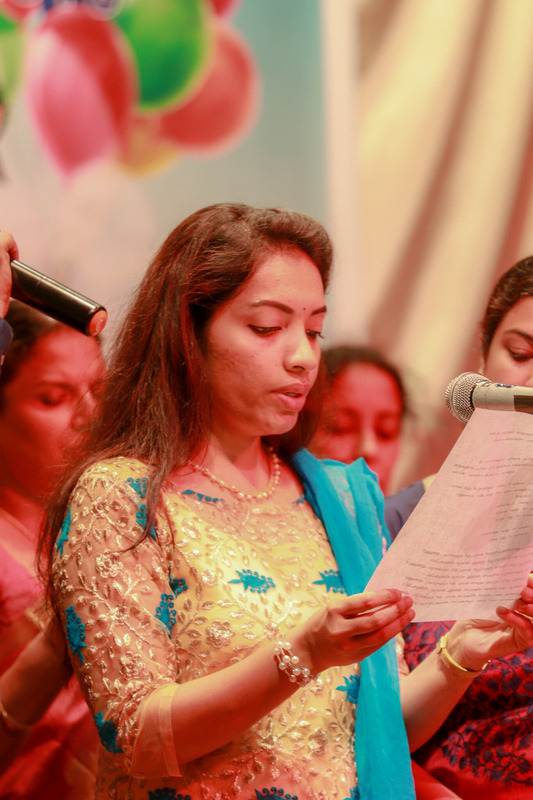 The choir is a reflection of heaven, individuals coming together to praise the God with one voice. 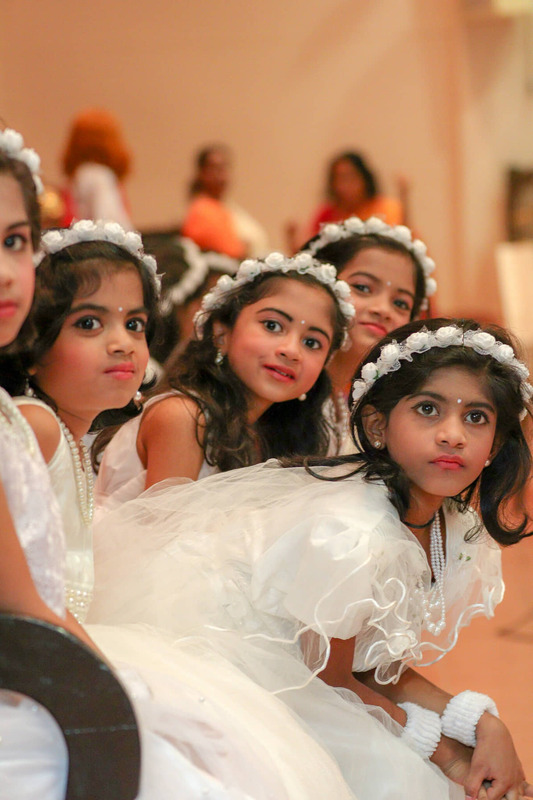 This is an echo of throngs of angels around the altar. 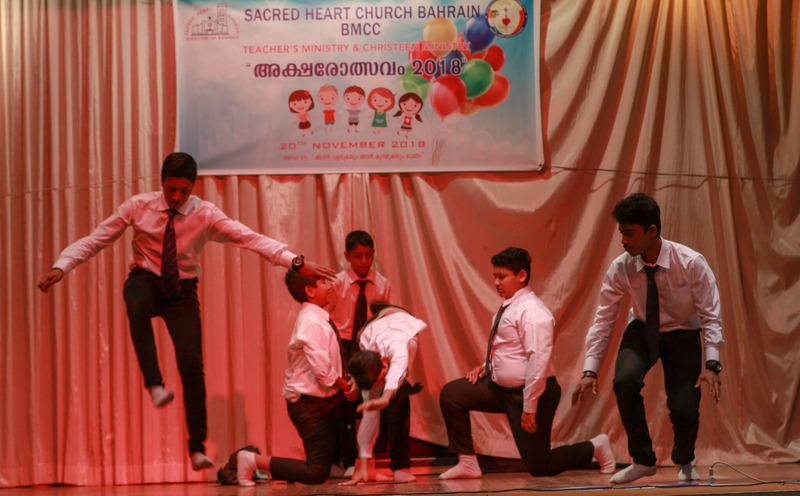 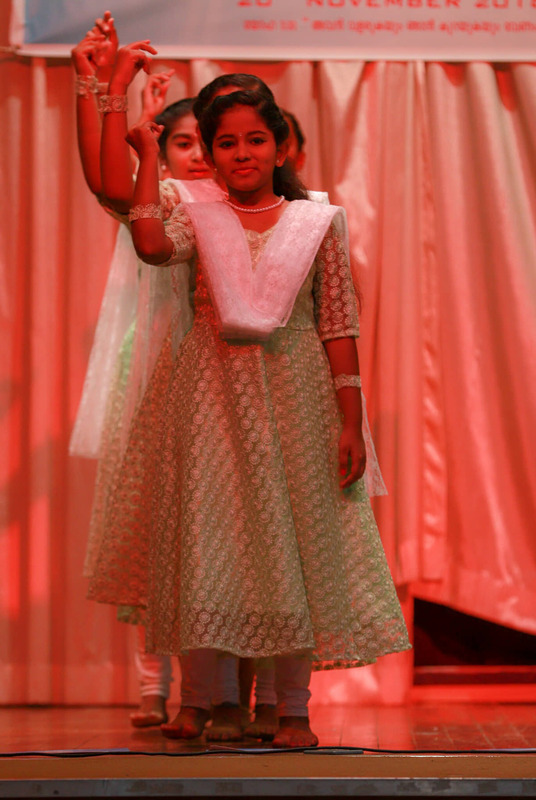 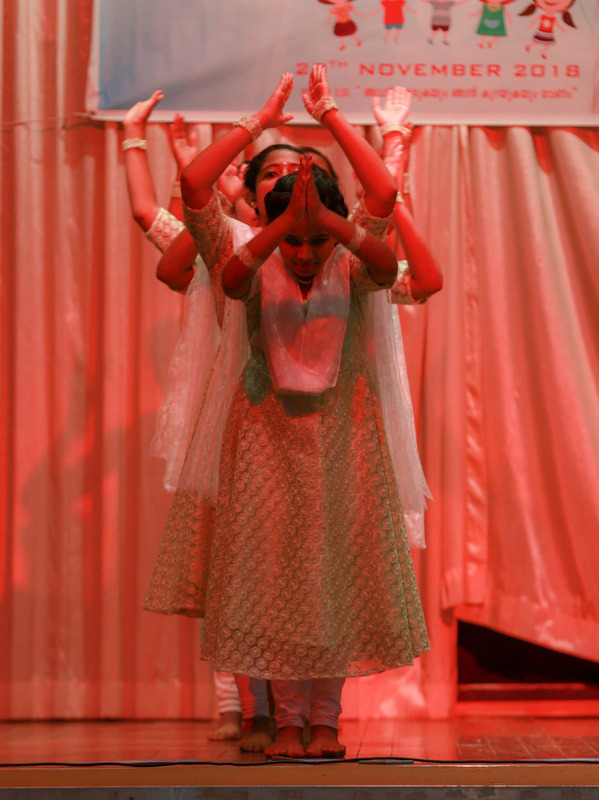 Displaying their God given talents to honour the Lord Almighty.